1 Kings – Len Bilén's blog, a blog about faith, politics and the environment. 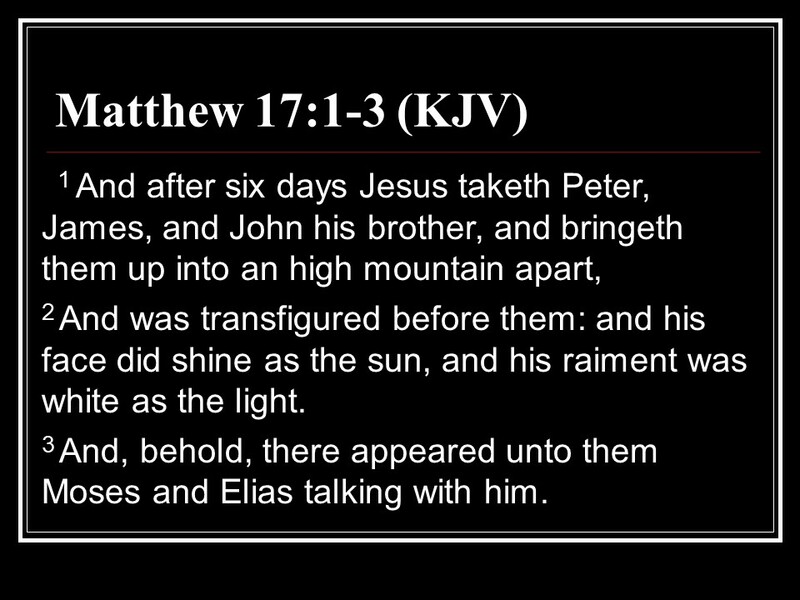 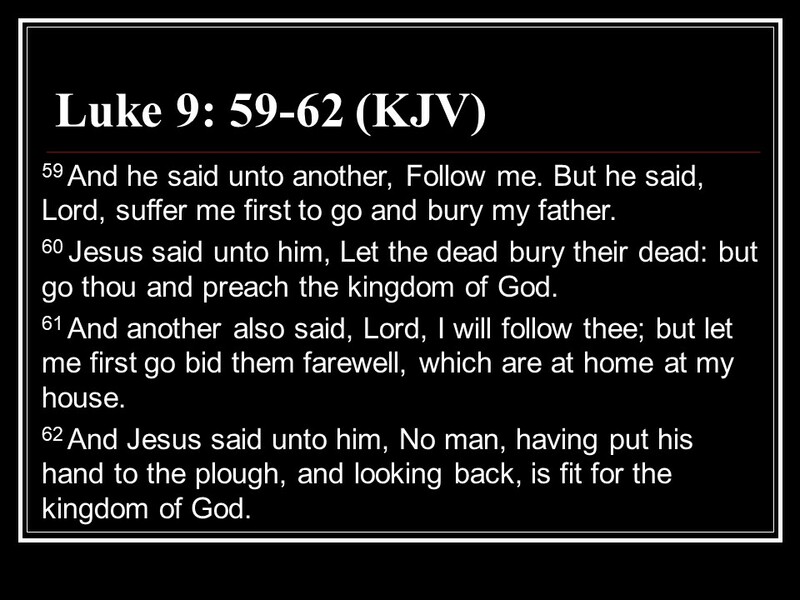 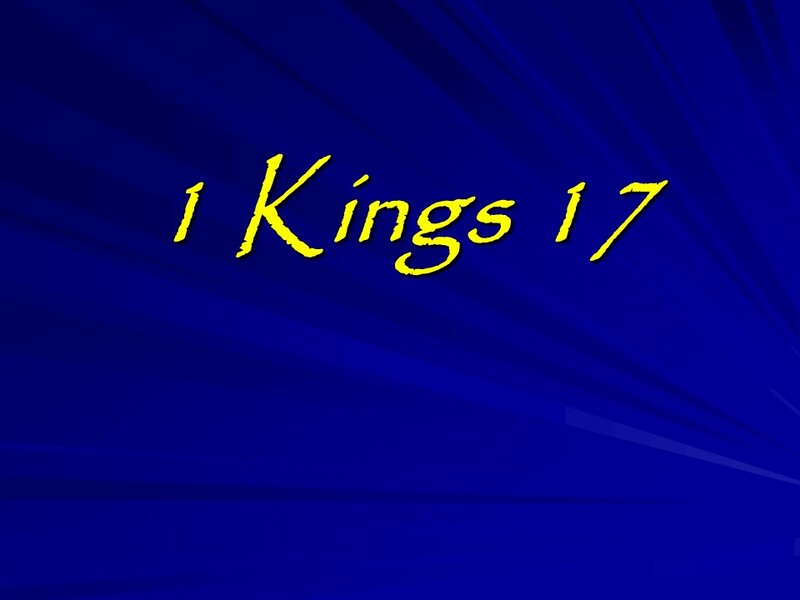 Posted on November 7, 2018 November 7, 2018 Categories 1 Kings, Bible, faithTags 1 Kings, faith, Holy Bible, religionLeave a comment on 1 Kings. 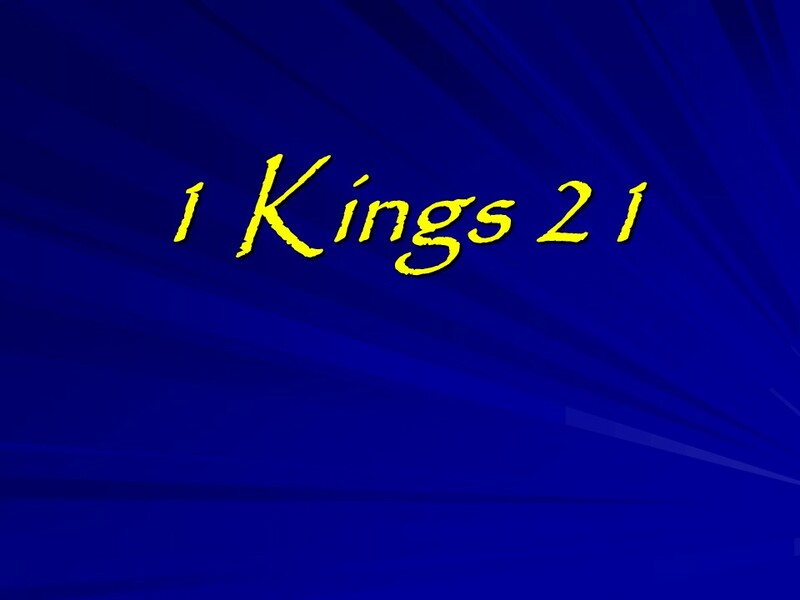 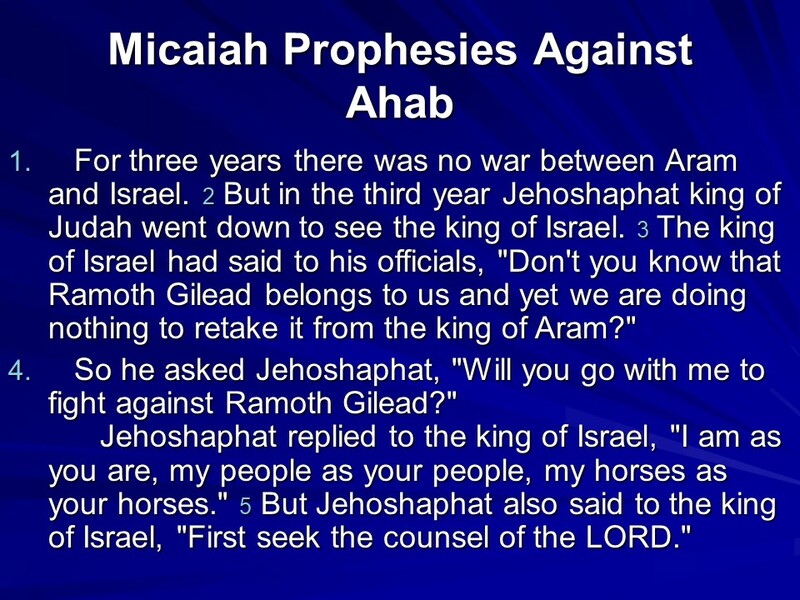 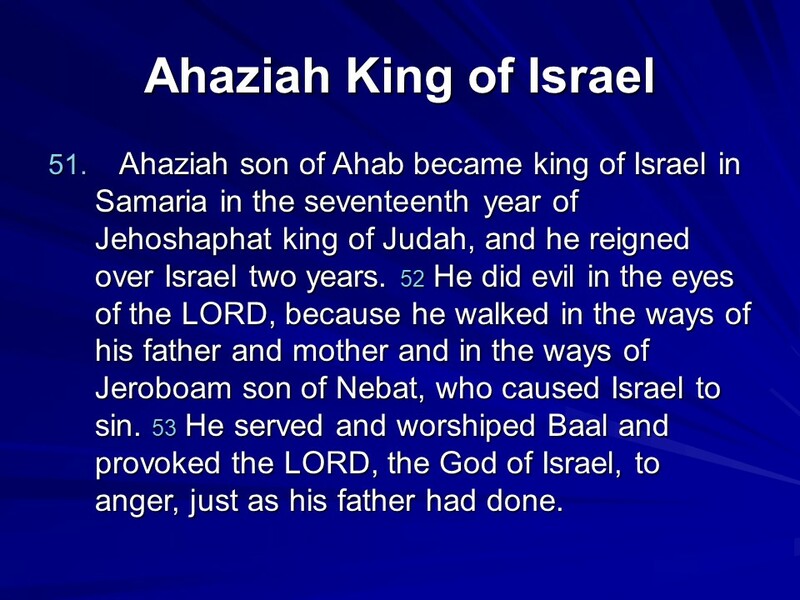 1 Kings 22, Micalah Warns Ahab, Ahab Dies in Battle, Jehoshaphat Reigns in Judah, Ahaziah Reigns in Judah. 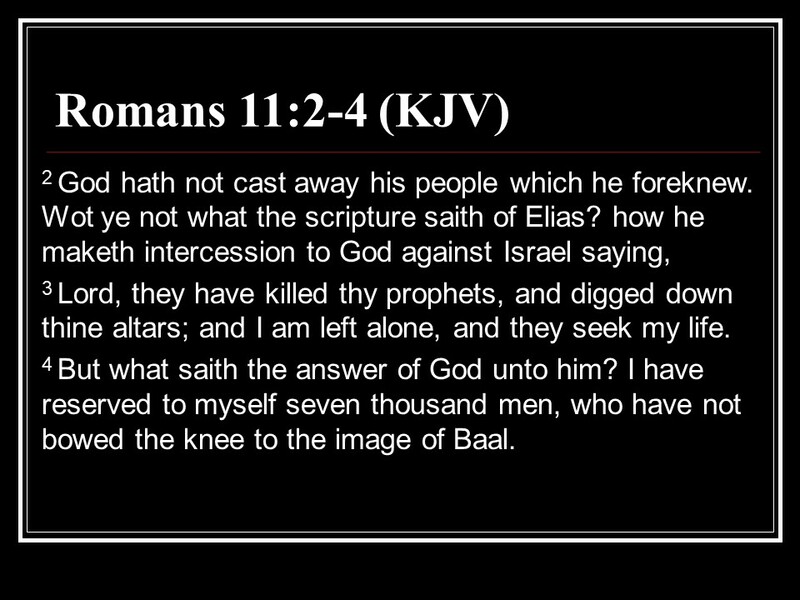 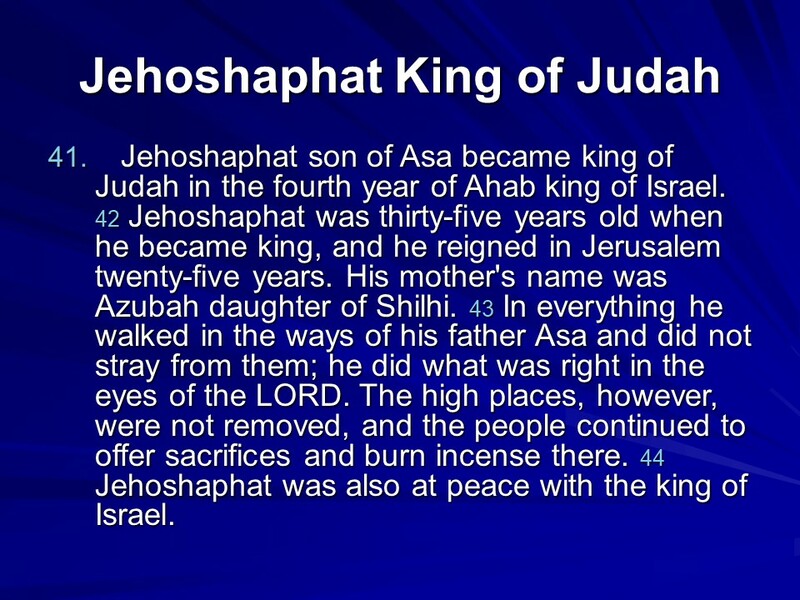 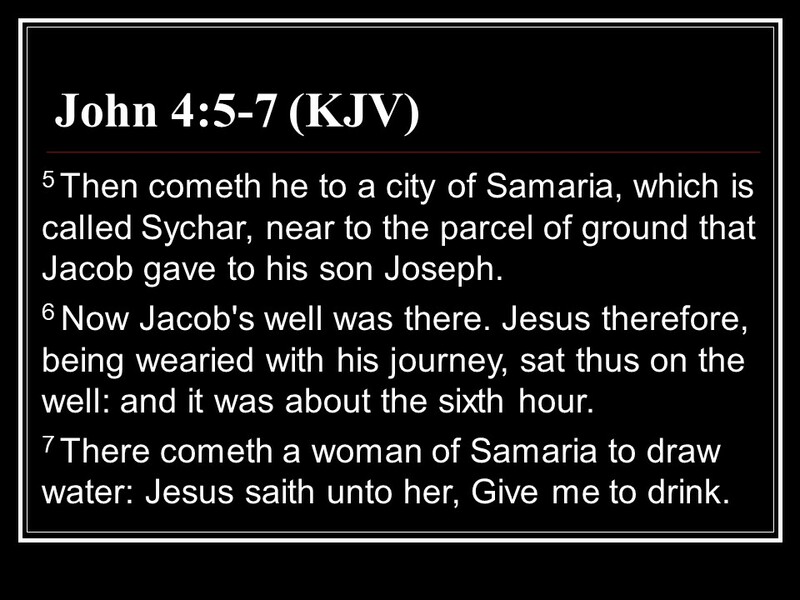 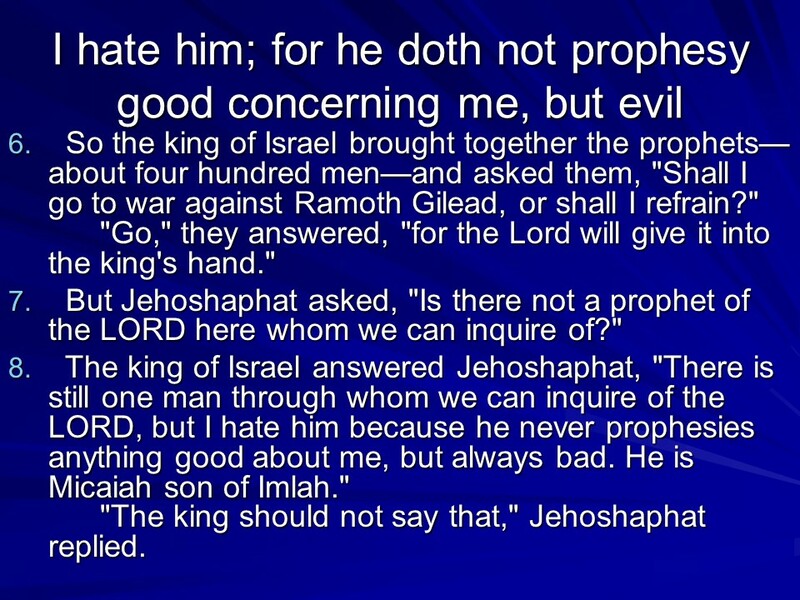 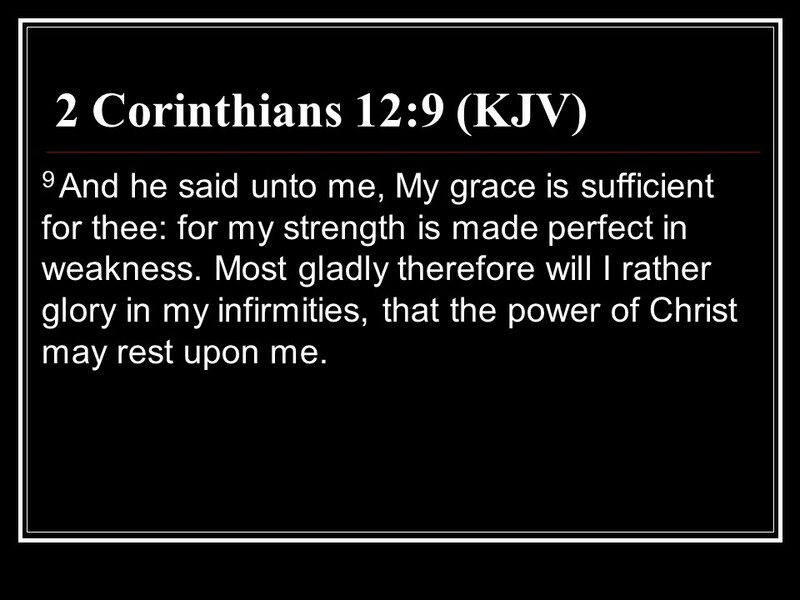 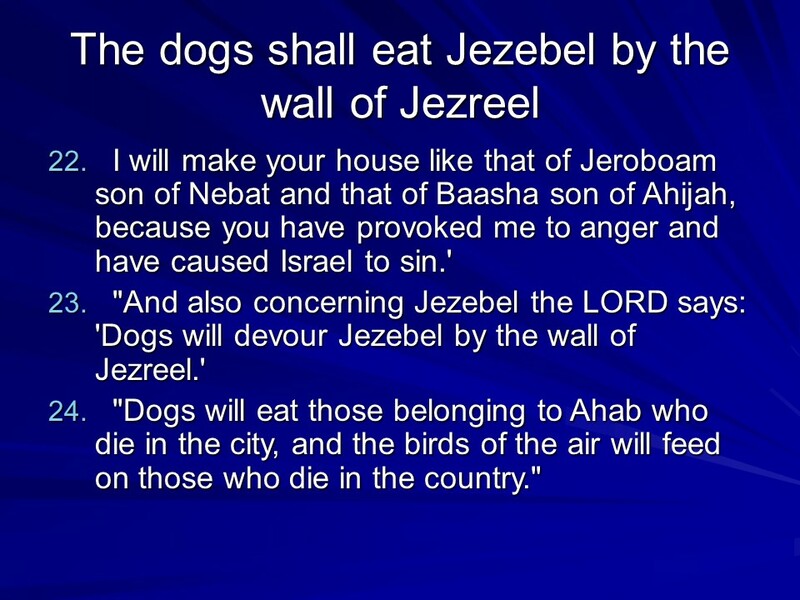 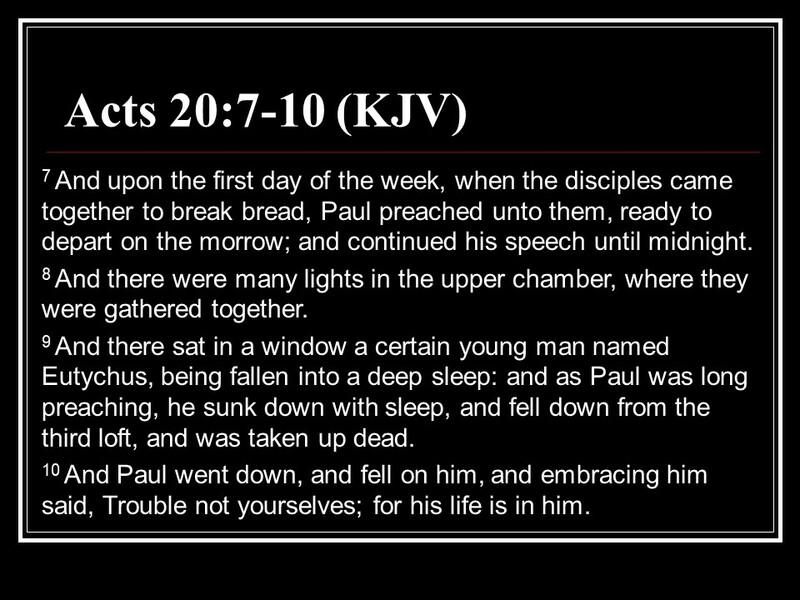 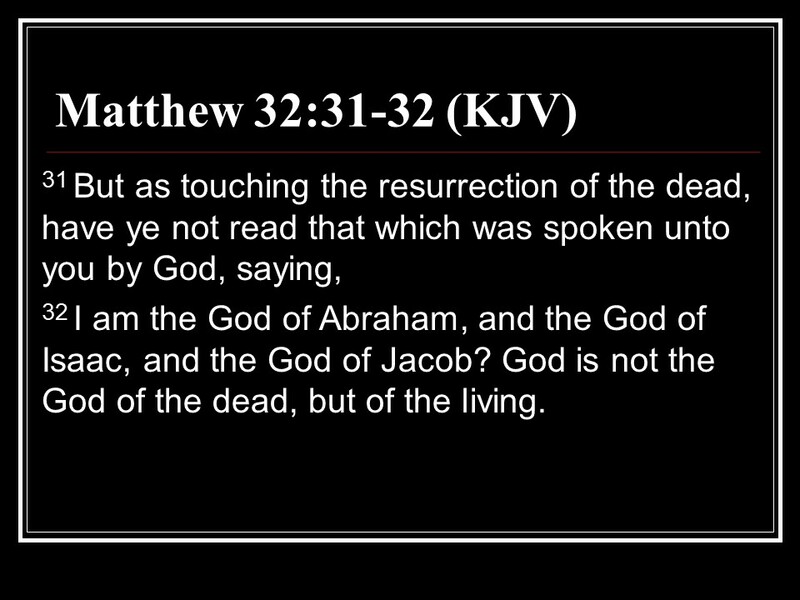 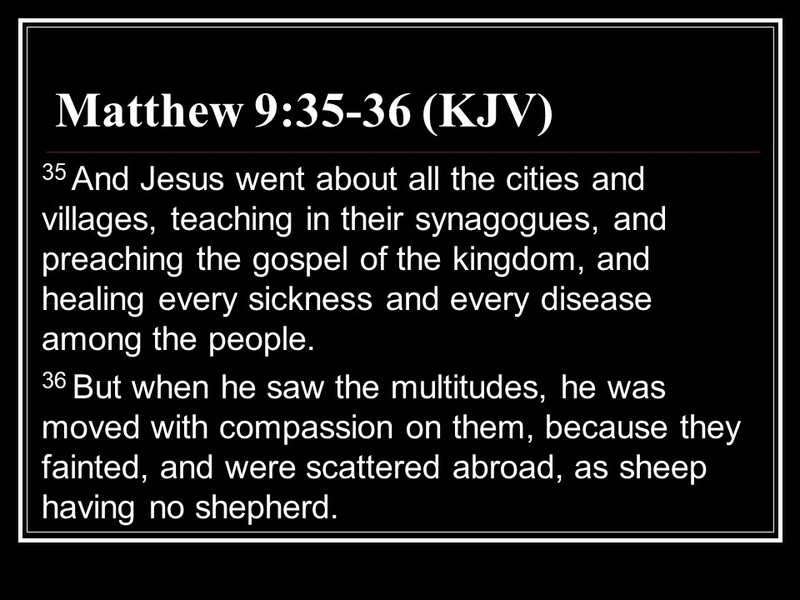 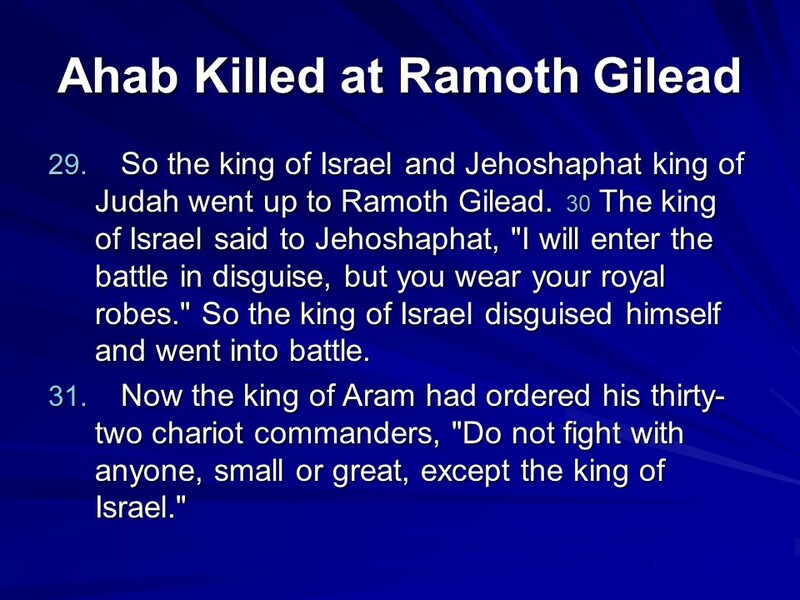 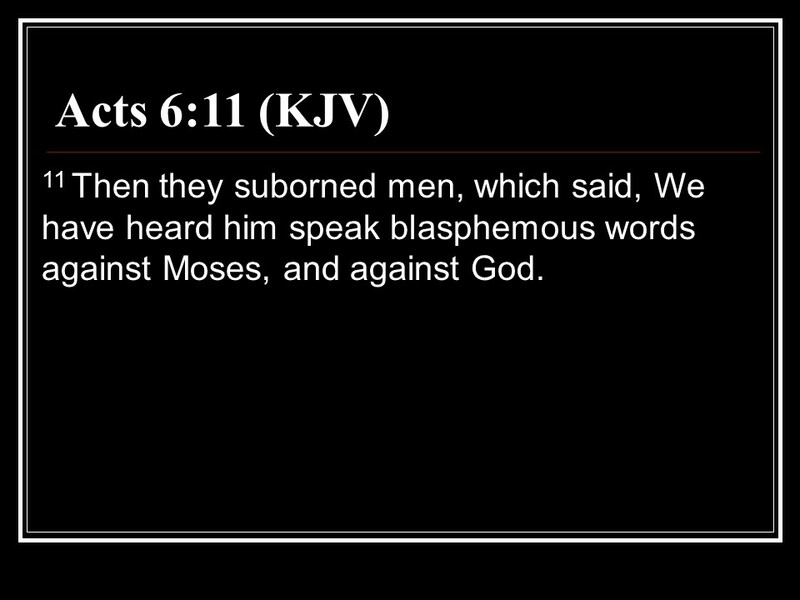 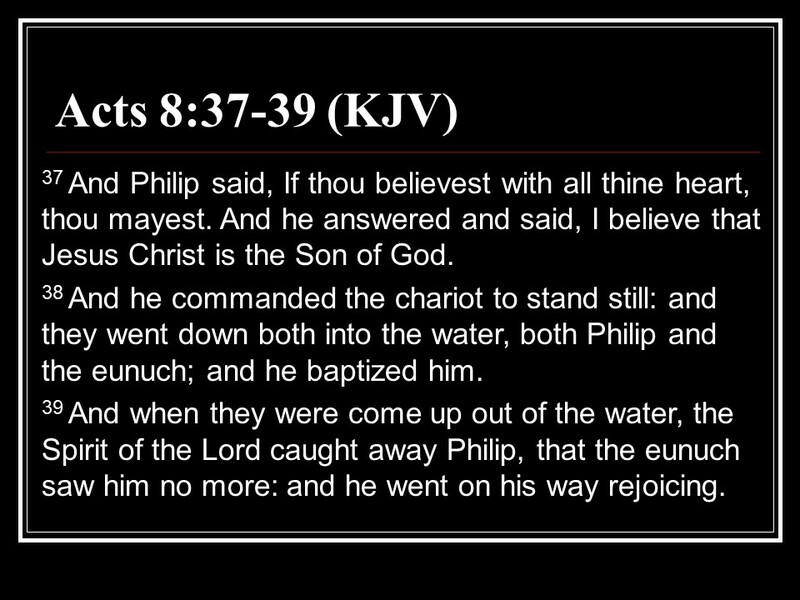 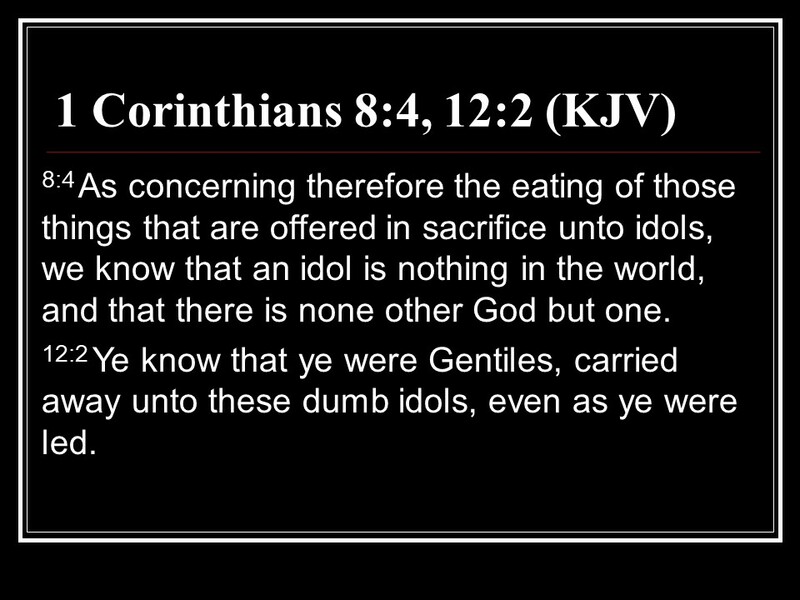 Posted on October 5, 2018 Categories 1 Kings, Bible, faithTags 1 Kings 22, Ahab Dies in Battle, Ahaziah Reigns in Judah, faith, Holy Bible, Jehoshaphat Reigns in Judah, Micalah Warns Ahab, religionLeave a comment on 1 Kings 22, Micalah Warns Ahab, Ahab Dies in Battle, Jehoshaphat Reigns in Judah, Ahaziah Reigns in Judah. 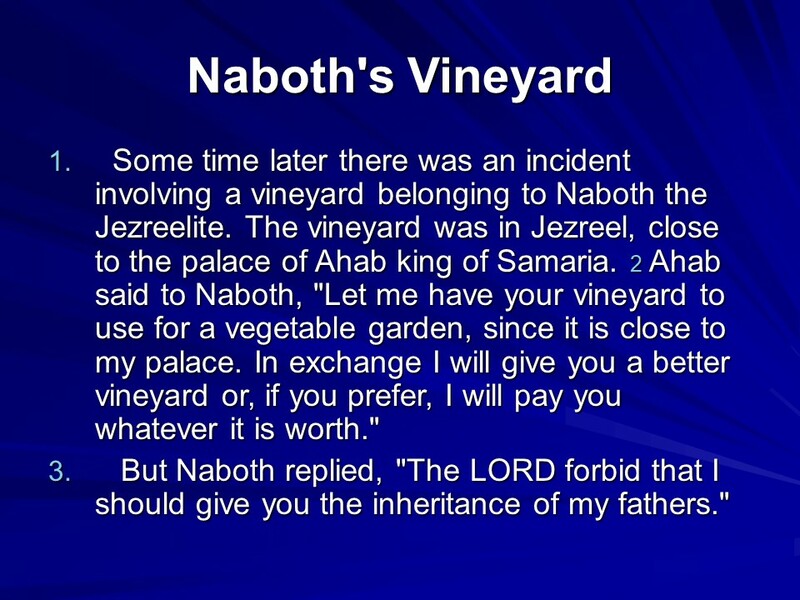 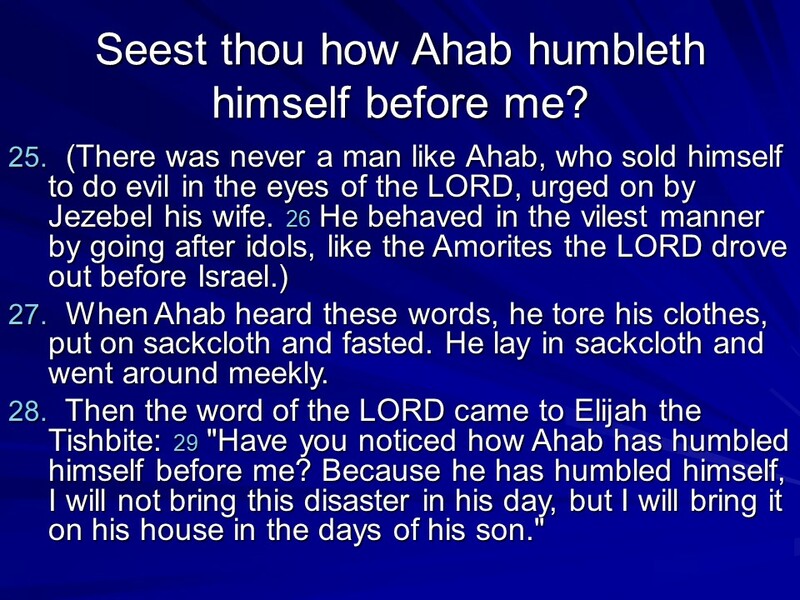 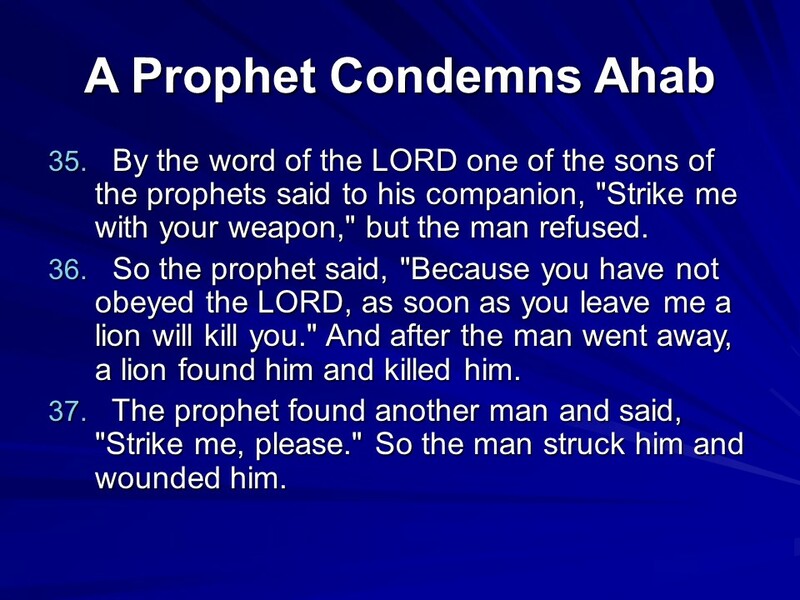 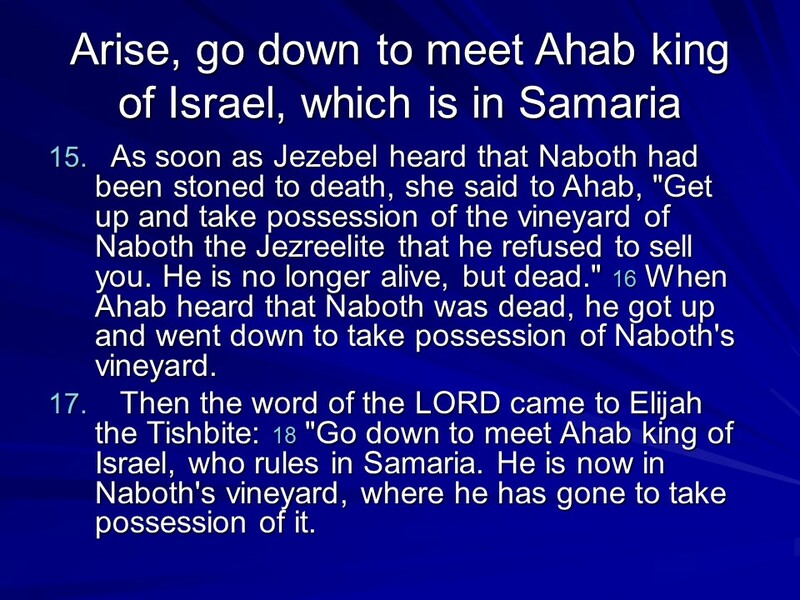 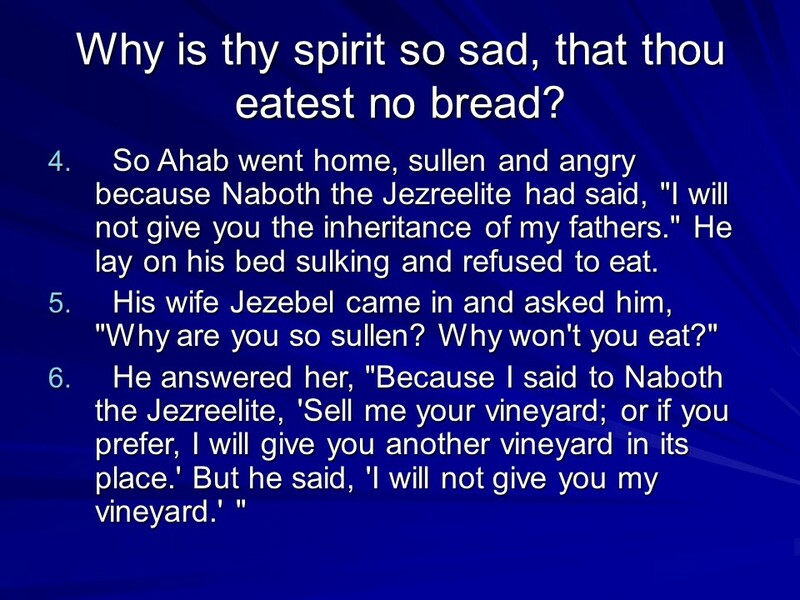 1 Kings 21, Naboth is Killed for his Vineyard, The LORD Condemns Ahab. 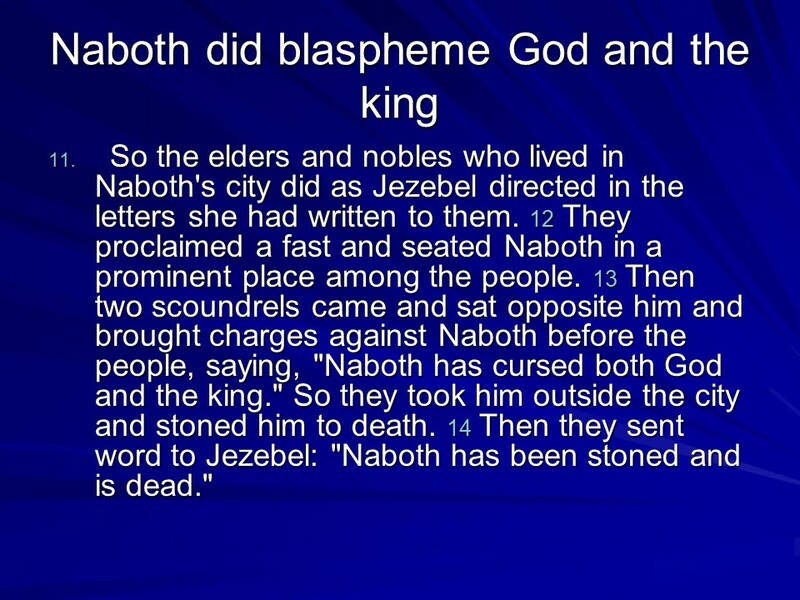 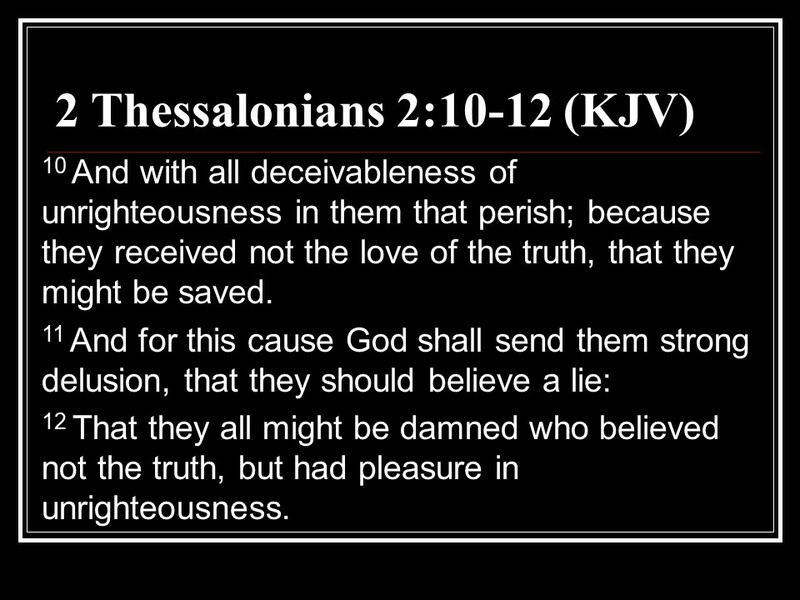 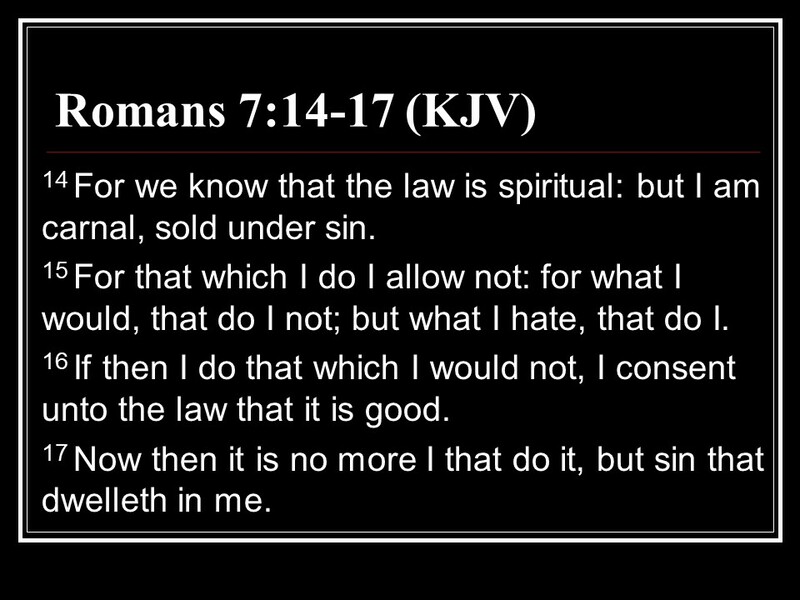 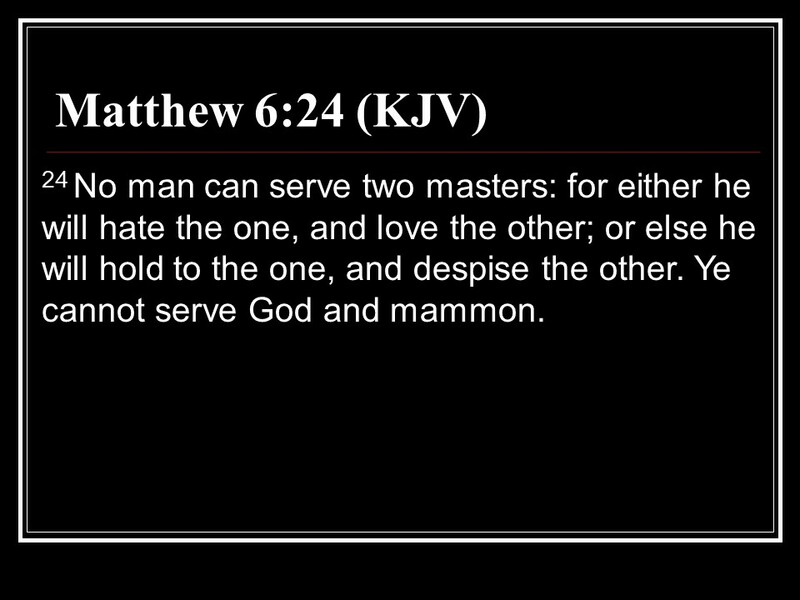 Posted on October 4, 2018 Categories 1 Kings, Bible, faithTags 1 Kings 21, faith, Holy Bible, Naboth is Killed for his Vineyard, religion, The LORD Condemns AhabLeave a comment on 1 Kings 21, Naboth is Killed for his Vineyard, The LORD Condemns Ahab. 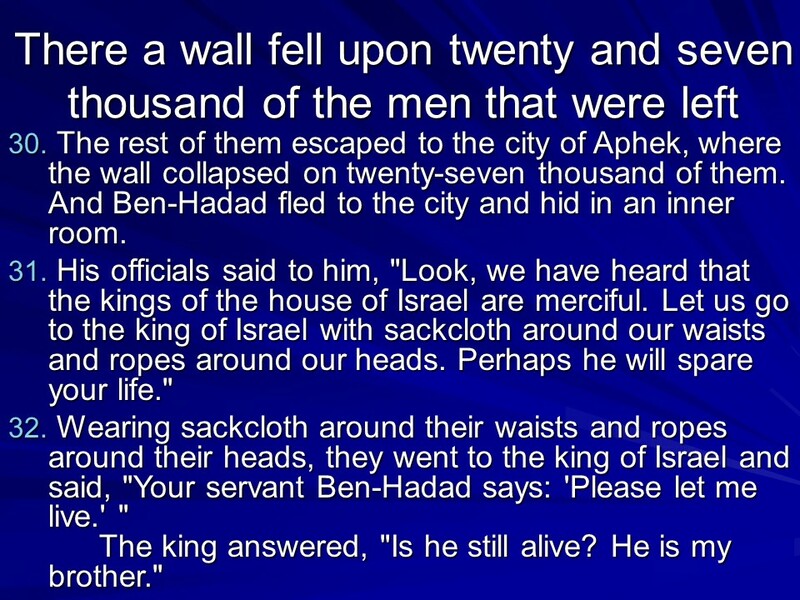 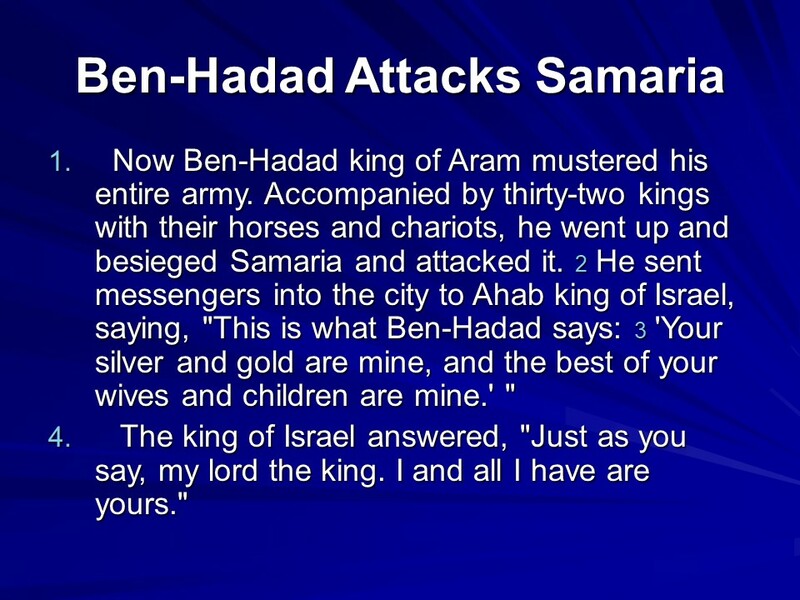 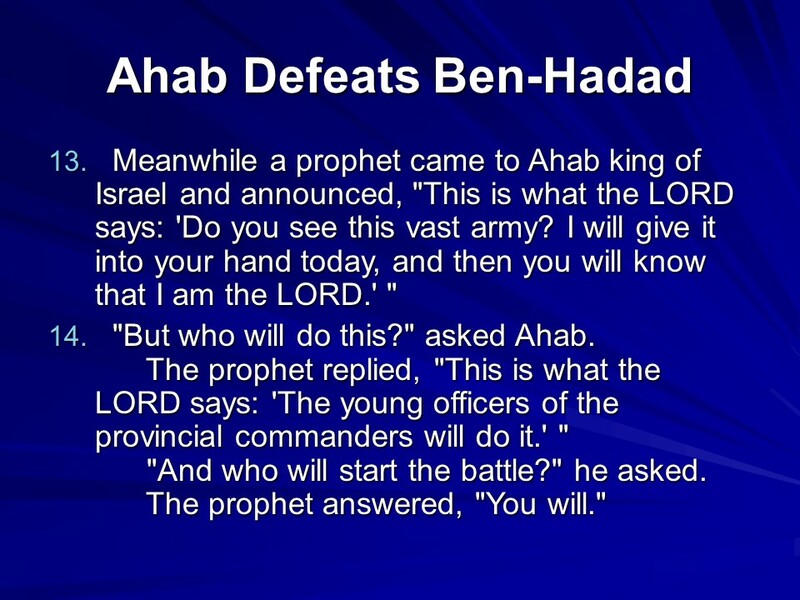 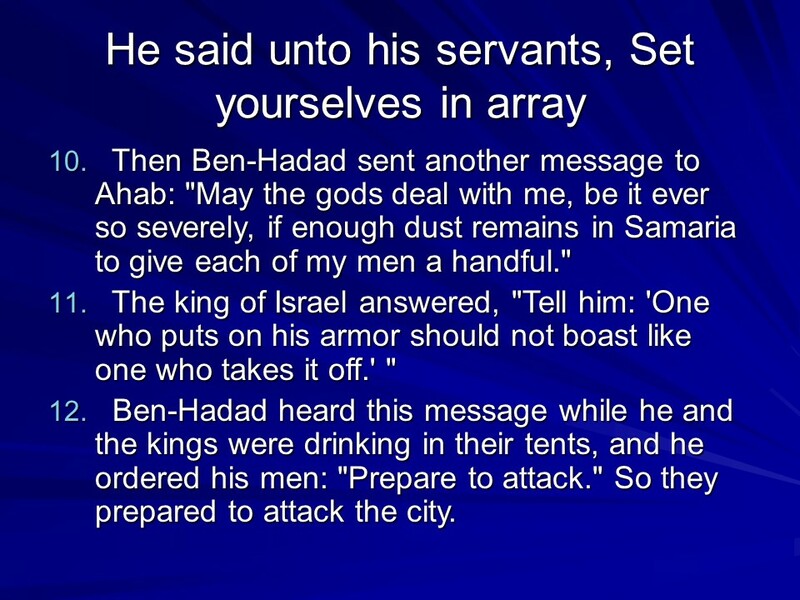 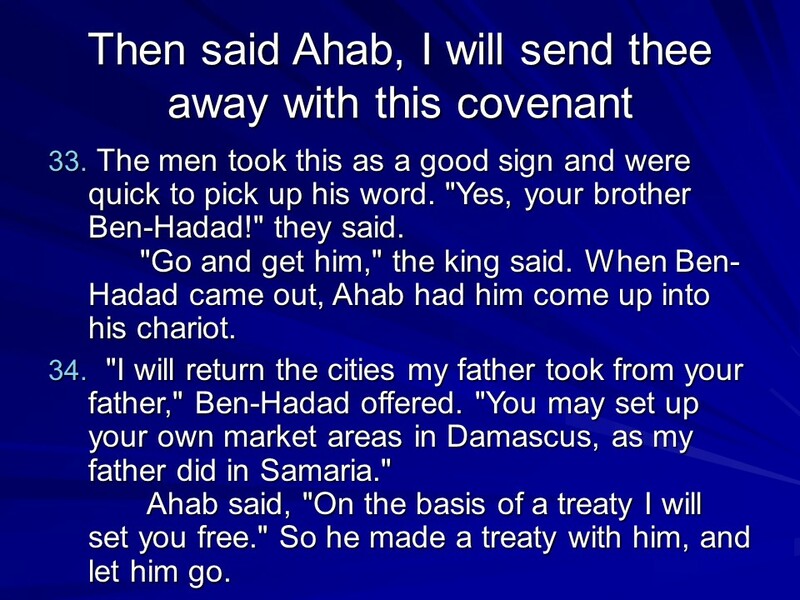 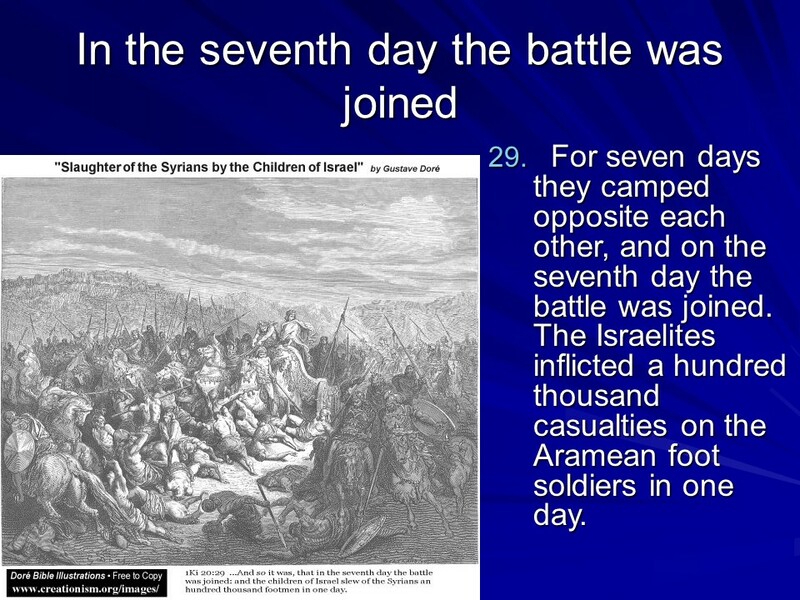 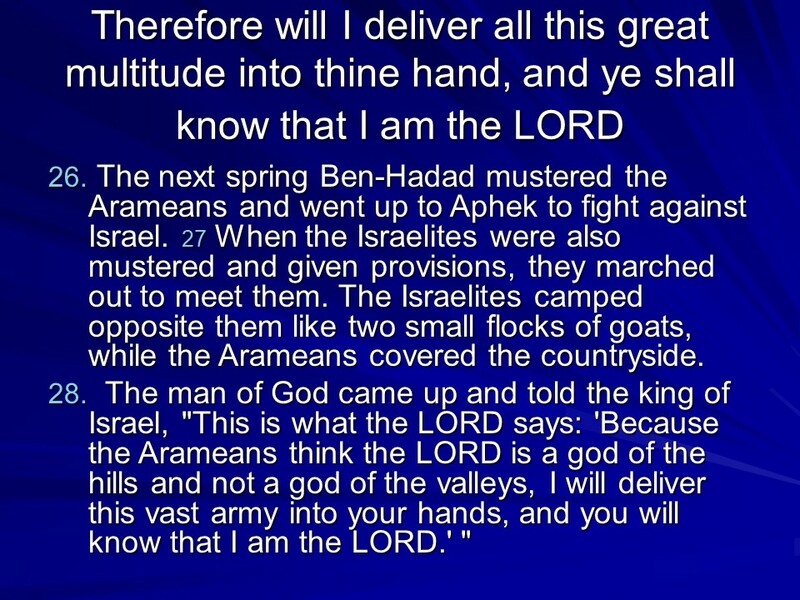 1 Kings 20, Ahab Defeats the Syrians, Ahab again Defeats the Syrians, Ahab’s Treaty with Ben-Hadad, Ahab Condemned. 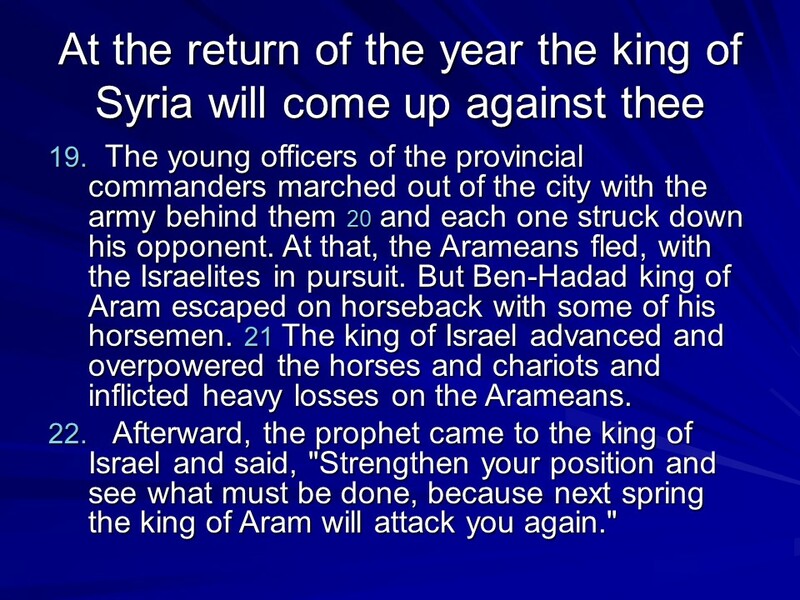 Posted on October 3, 2018 Categories 1 Kings, faithTags 1 Kings 20, Ahab again Defeats the Syrians, Ahab Condemned, Ahab Defeats the Syrians, Ahab's Treaty with Ben-Hadad, faith, Holy Bible, religionLeave a comment on 1 Kings 20, Ahab Defeats the Syrians, Ahab again Defeats the Syrians, Ahab’s Treaty with Ben-Hadad, Ahab Condemned. 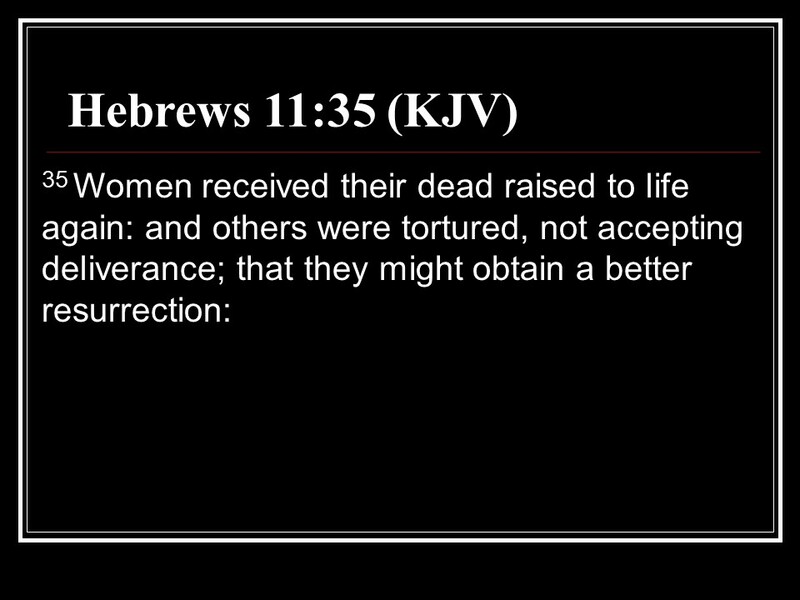 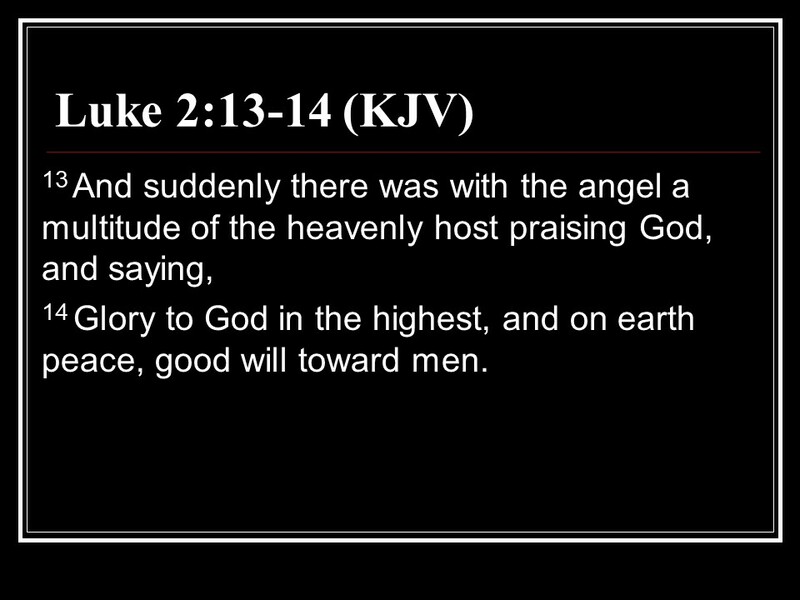 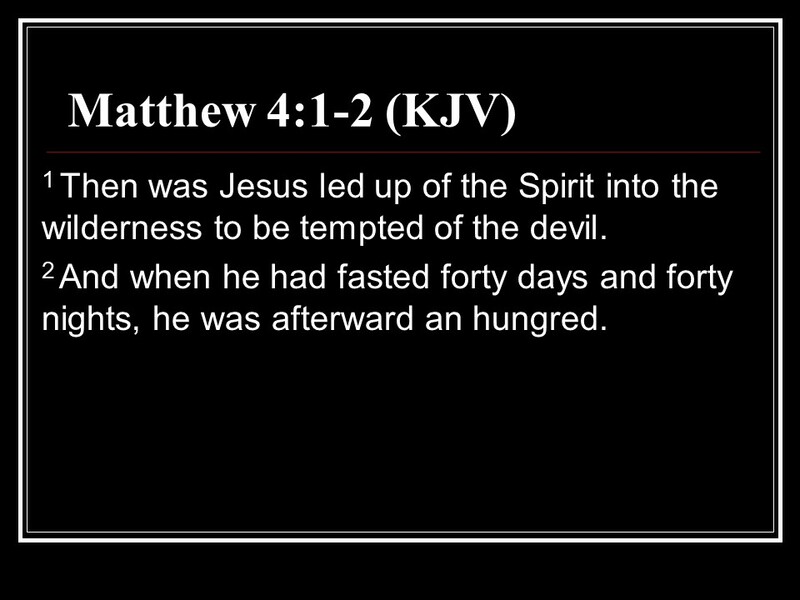 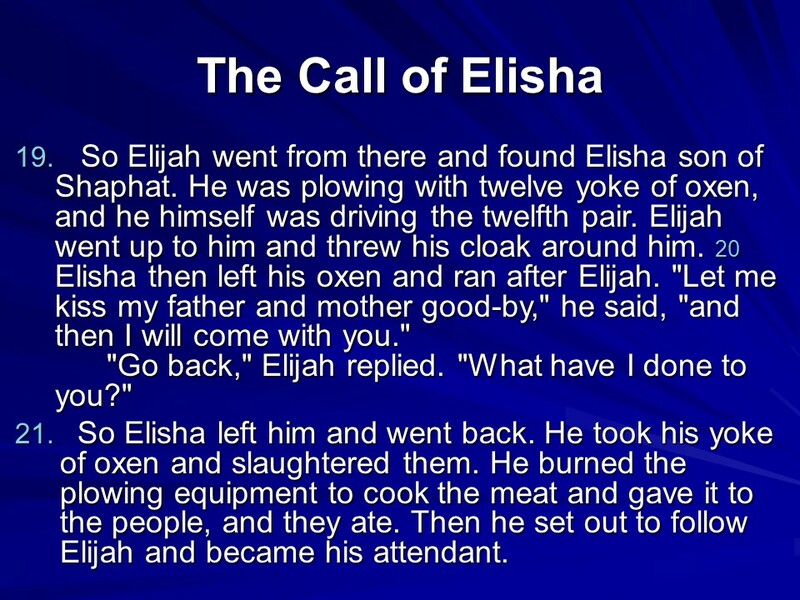 1 Kings 19, Elijah flees from Jezebel, The Still Small Voice, Elisha follows Elijah. 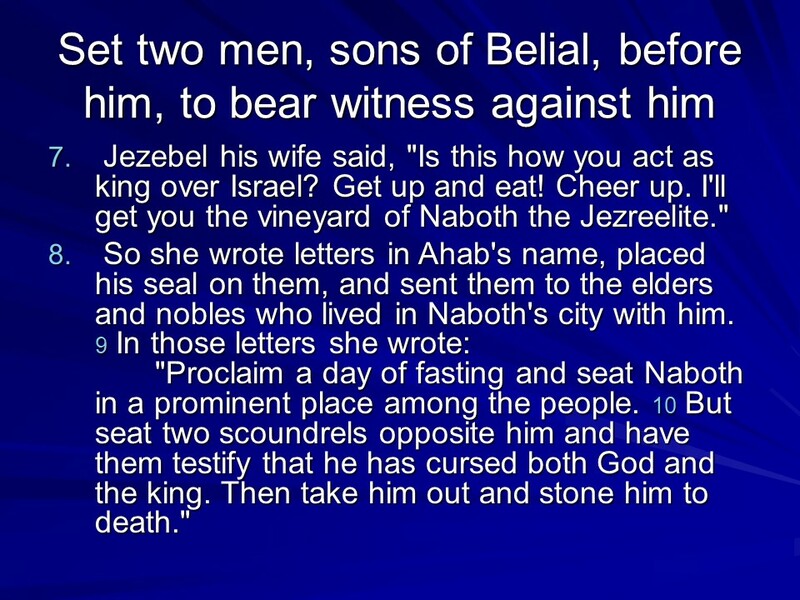 Posted on October 2, 2018 Categories 1 Kings, Bible, faithTags 1 Kings 19, Elijah flees from Jezebel, Elisha follows Elijah, faith, Holy Bible, religion, The Still Small VoiceLeave a comment on 1 Kings 19, Elijah flees from Jezebel, The Still Small Voice, Elisha follows Elijah. 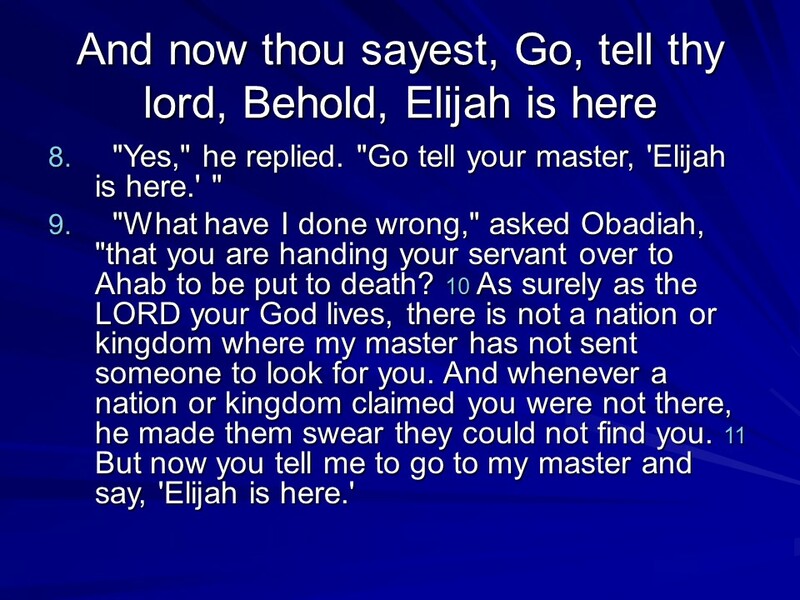 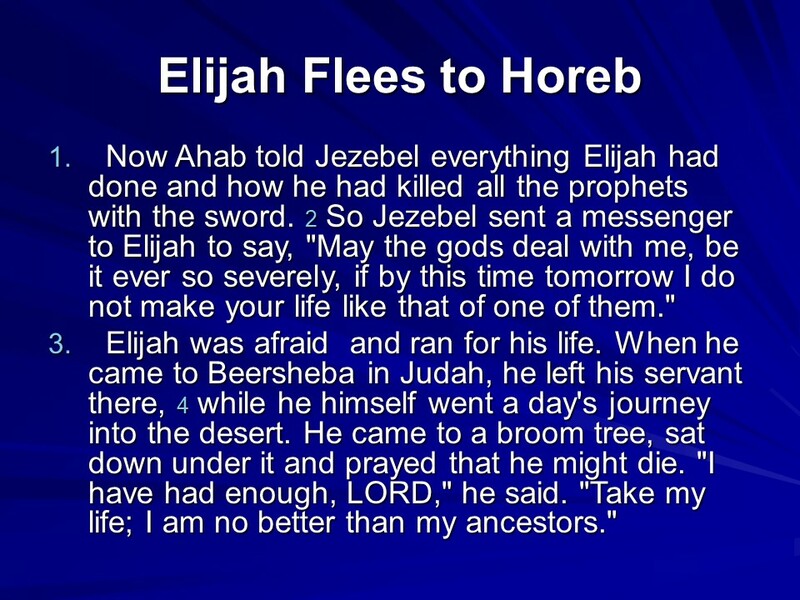 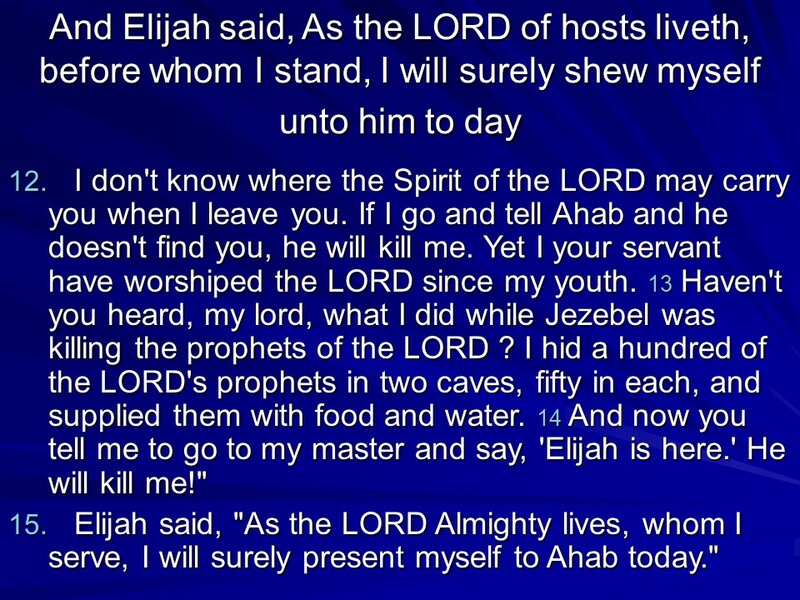 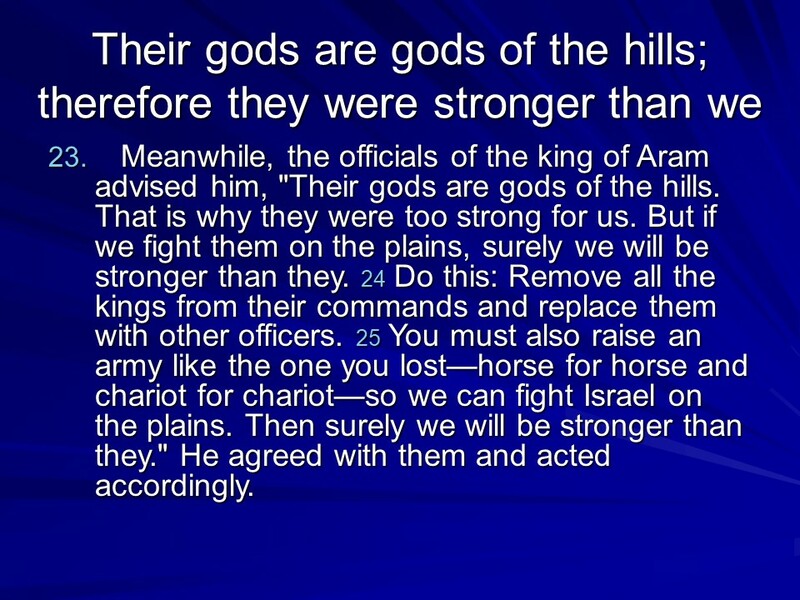 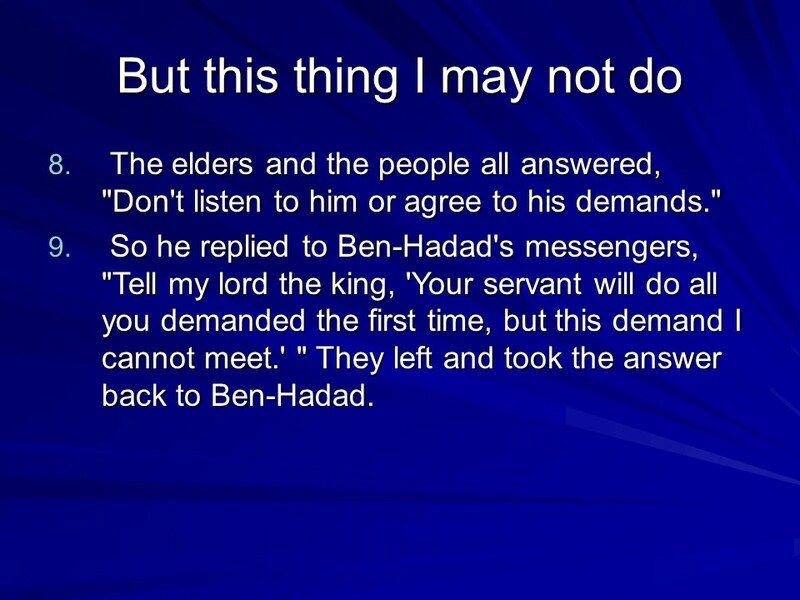 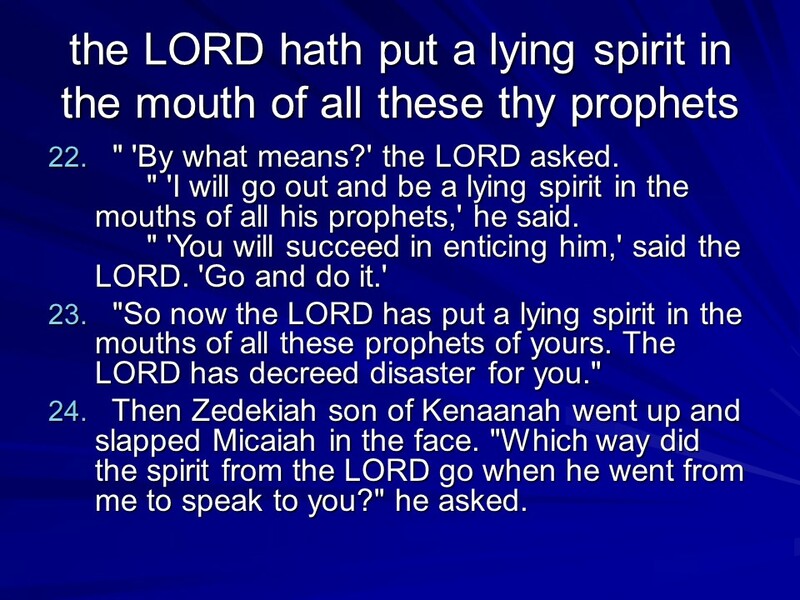 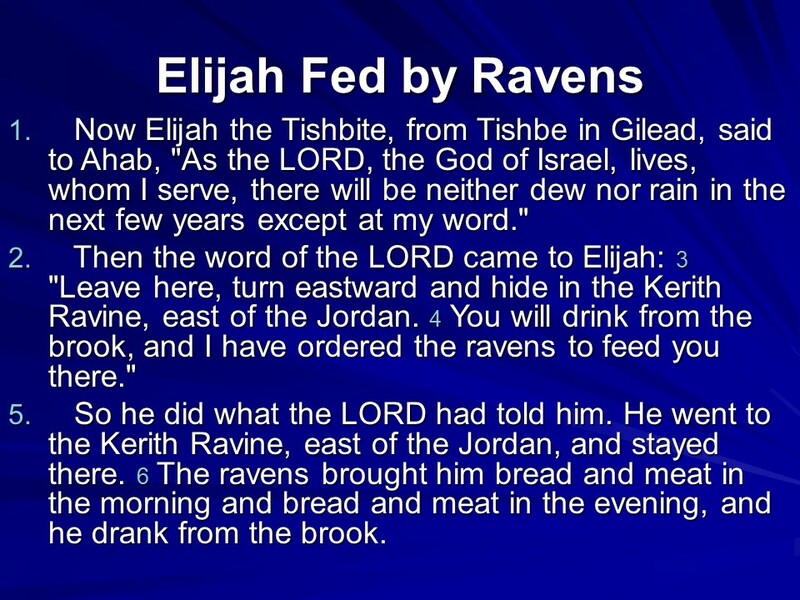 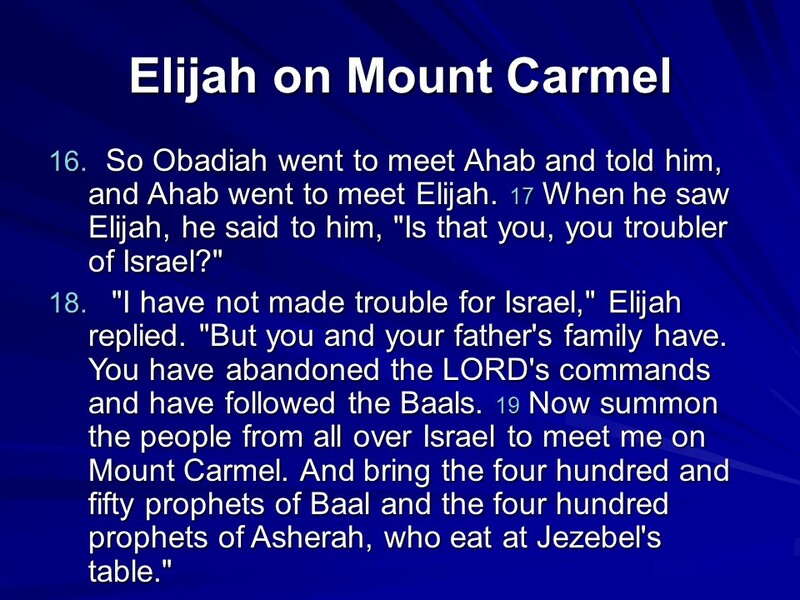 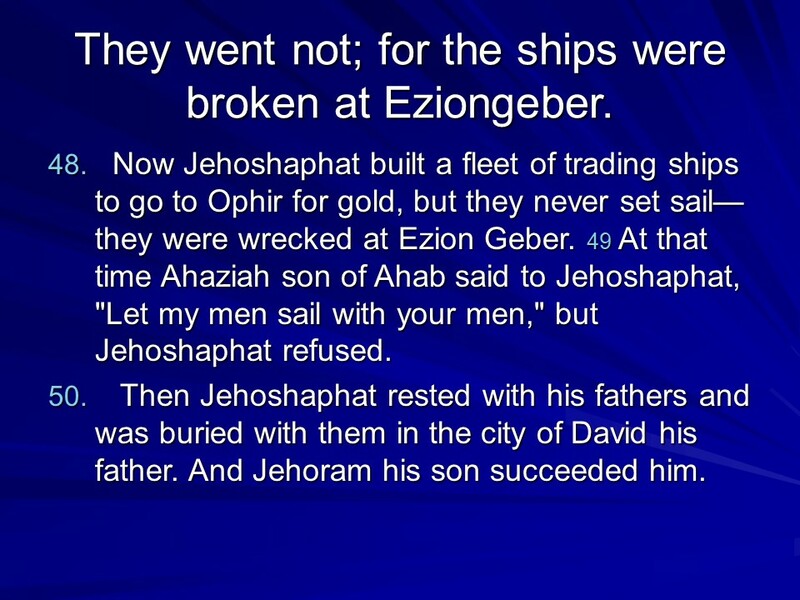 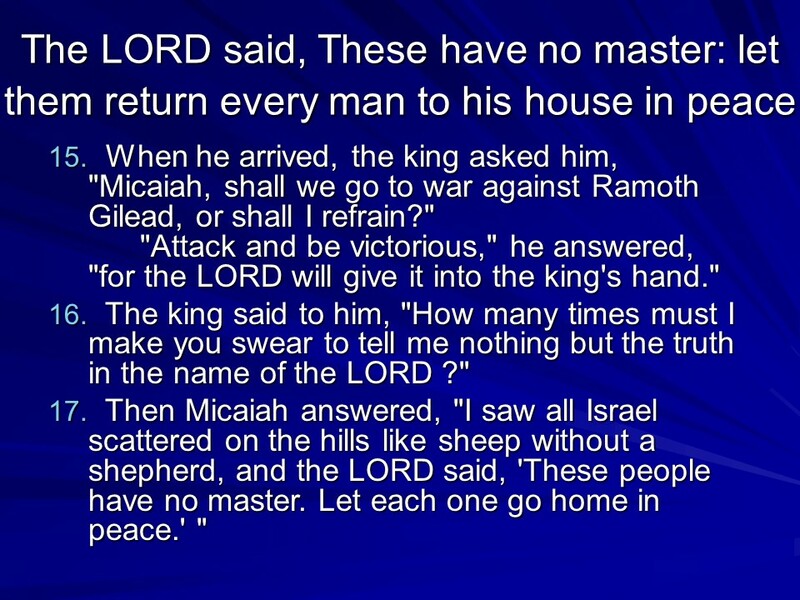 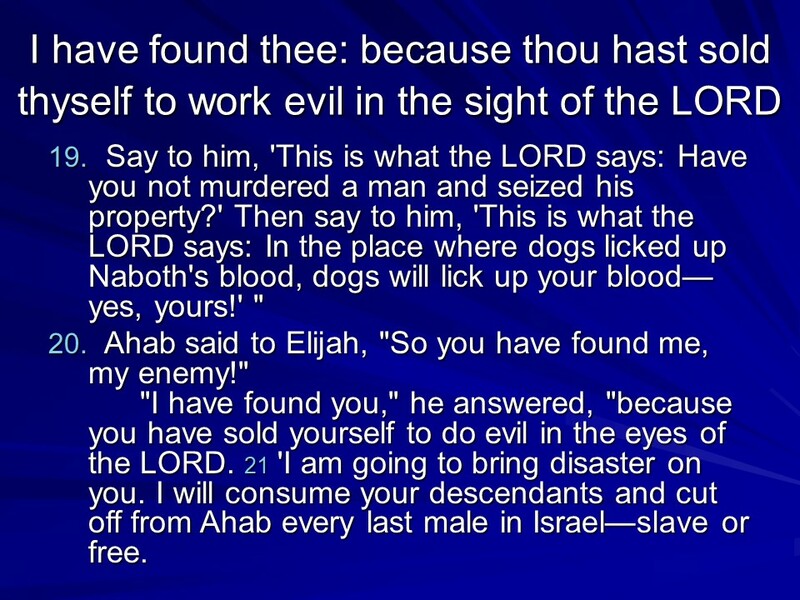 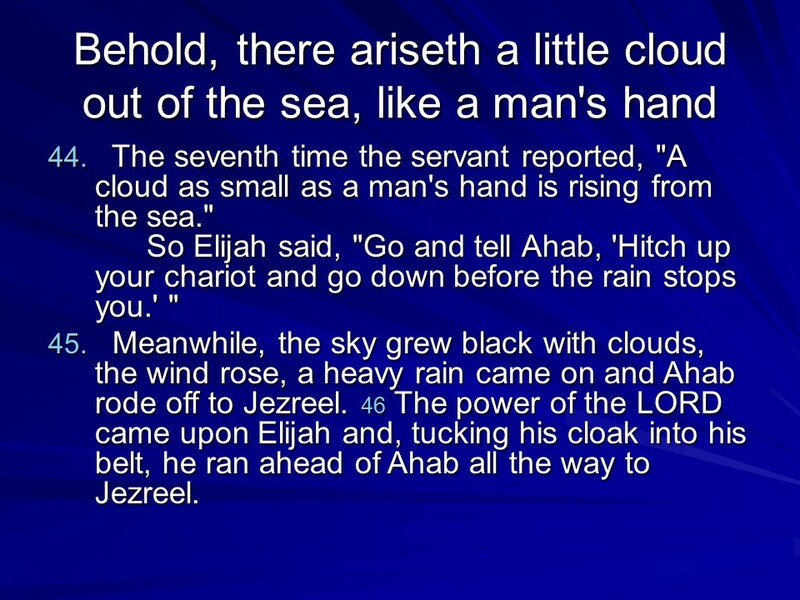 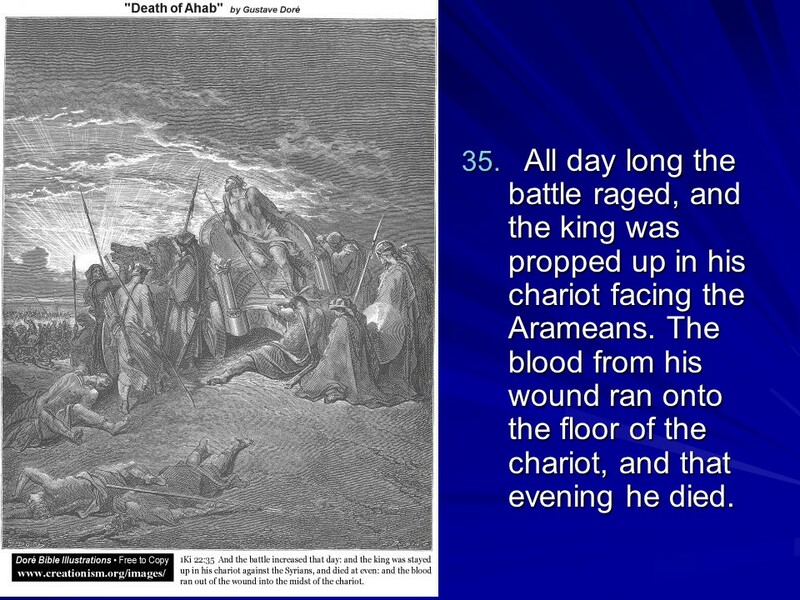 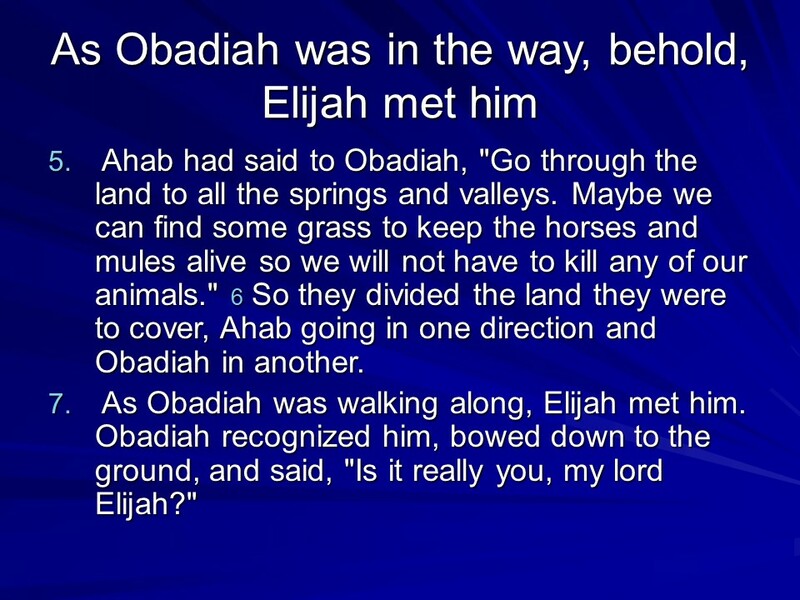 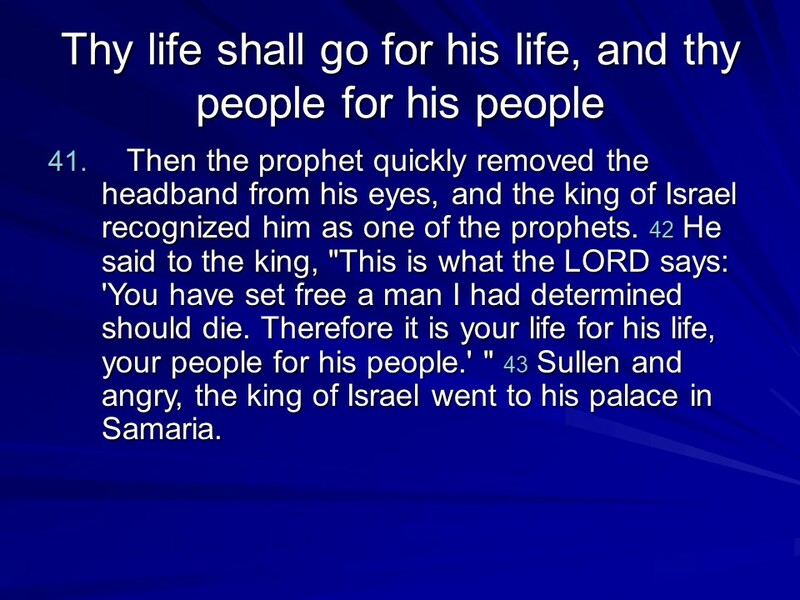 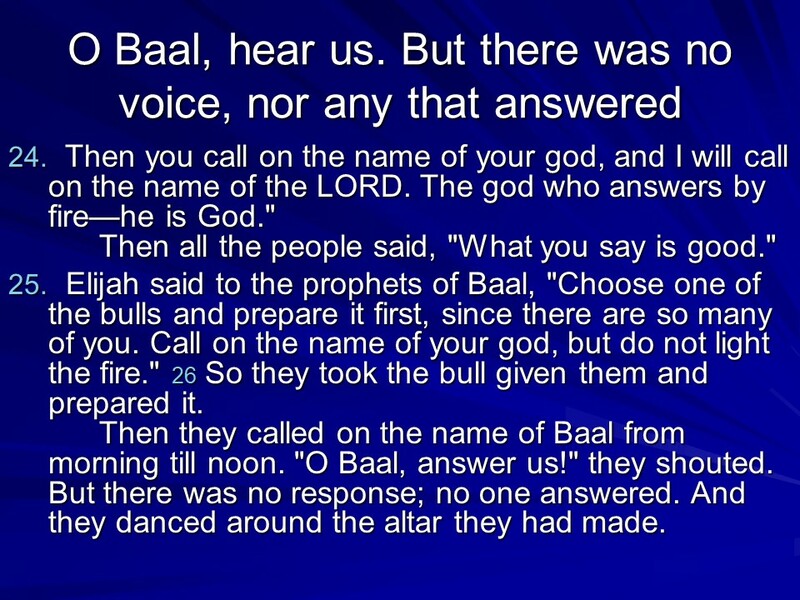 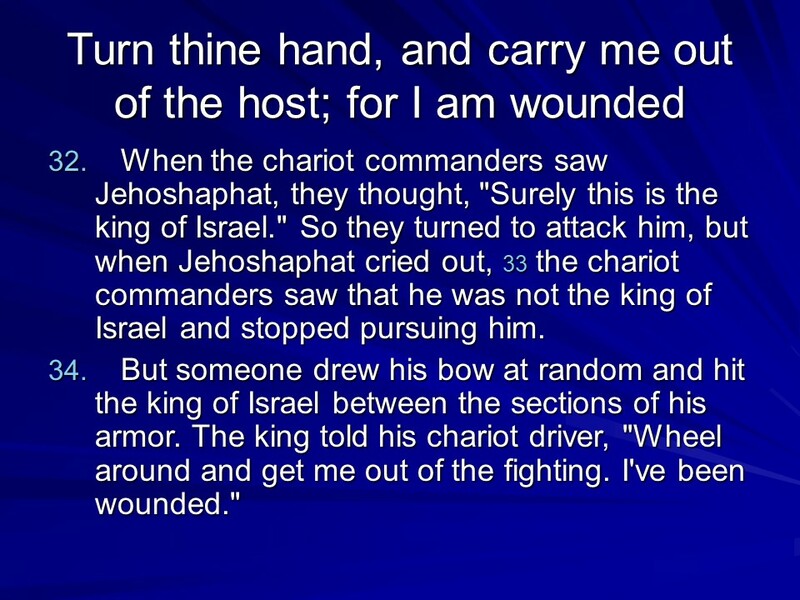 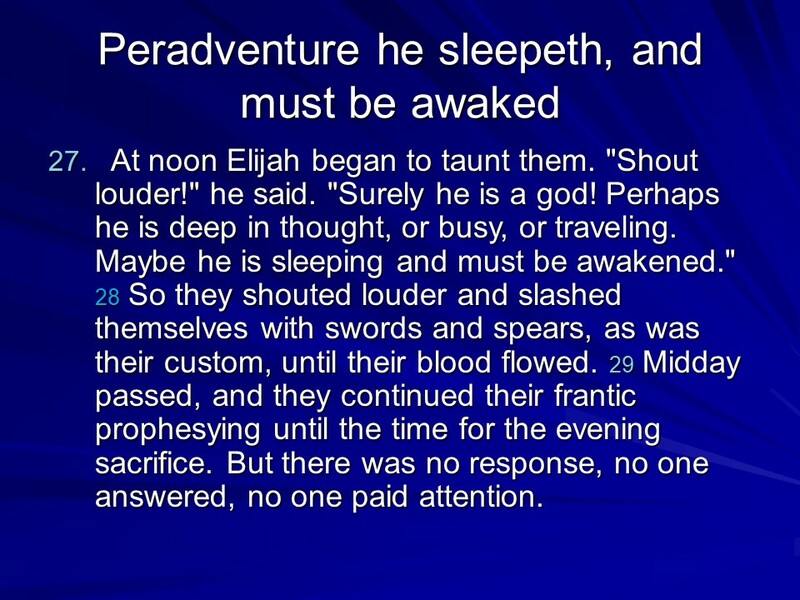 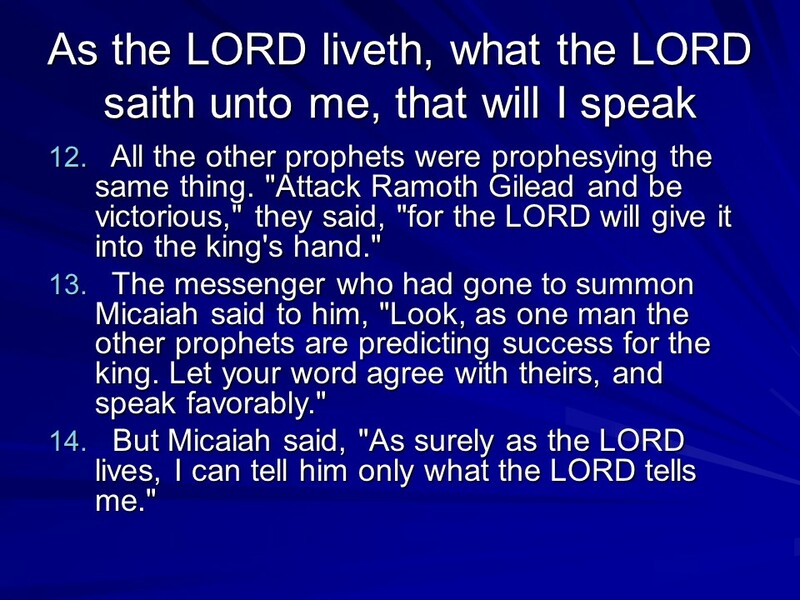 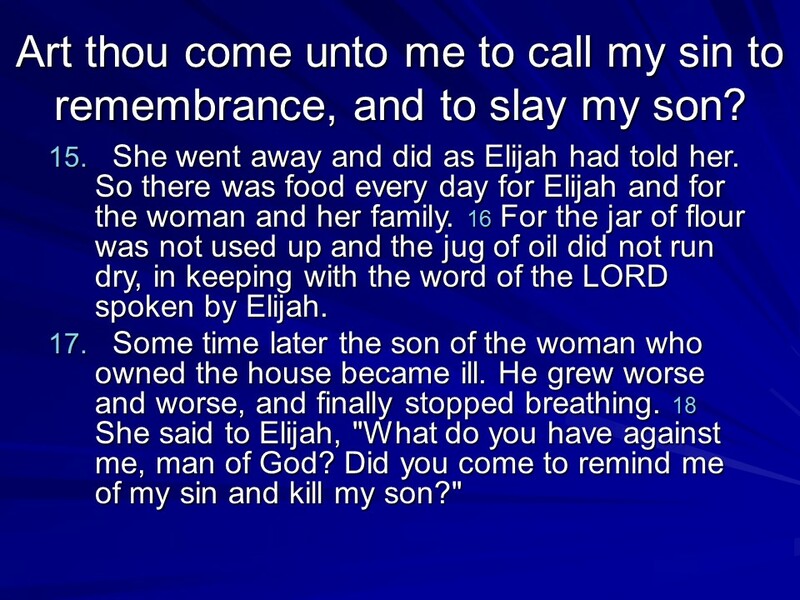 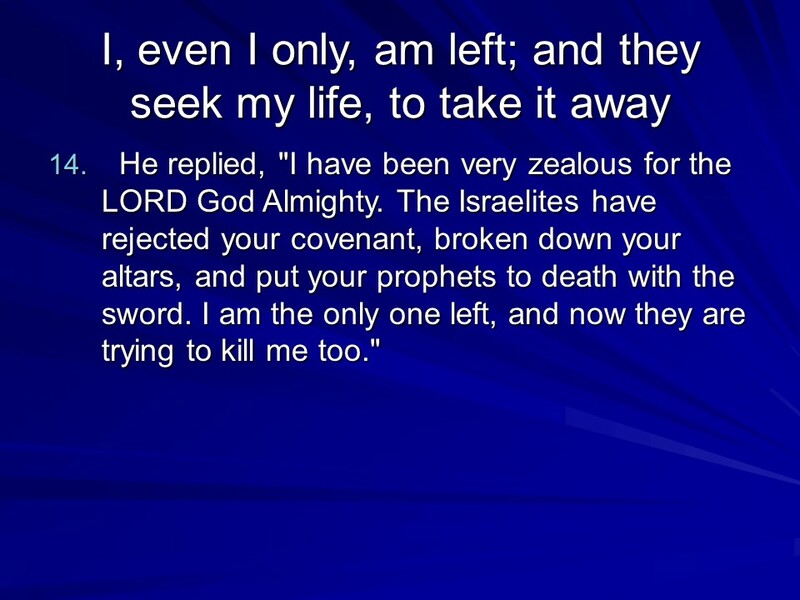 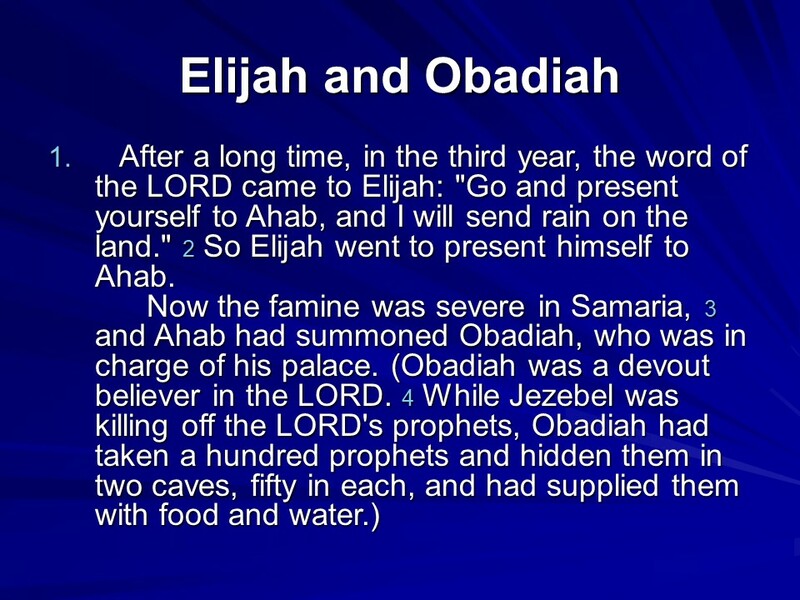 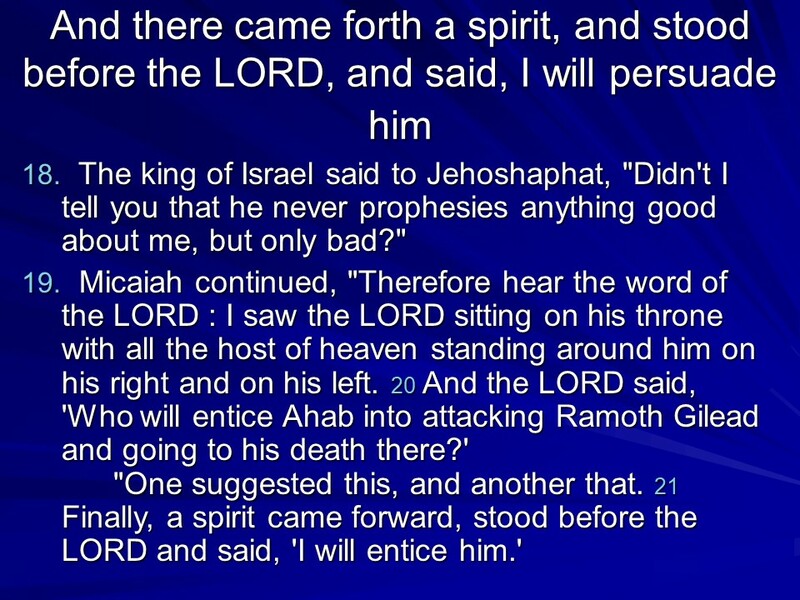 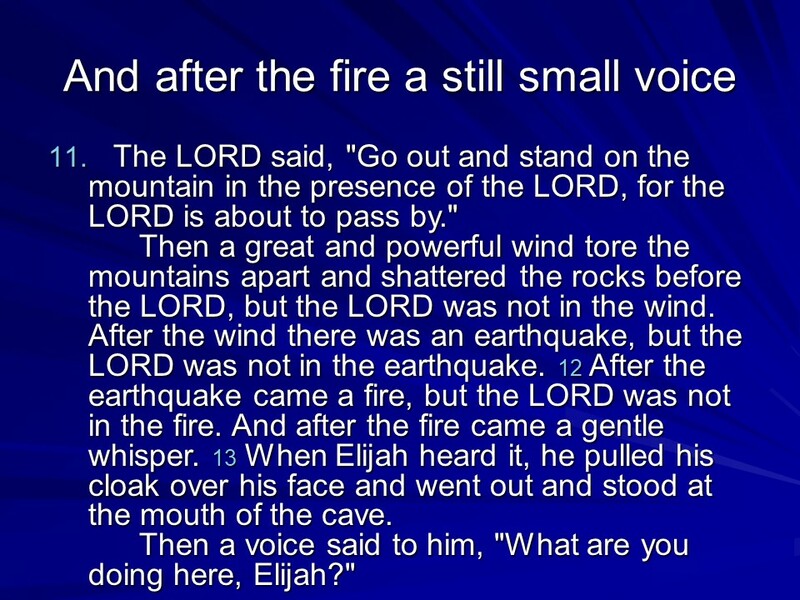 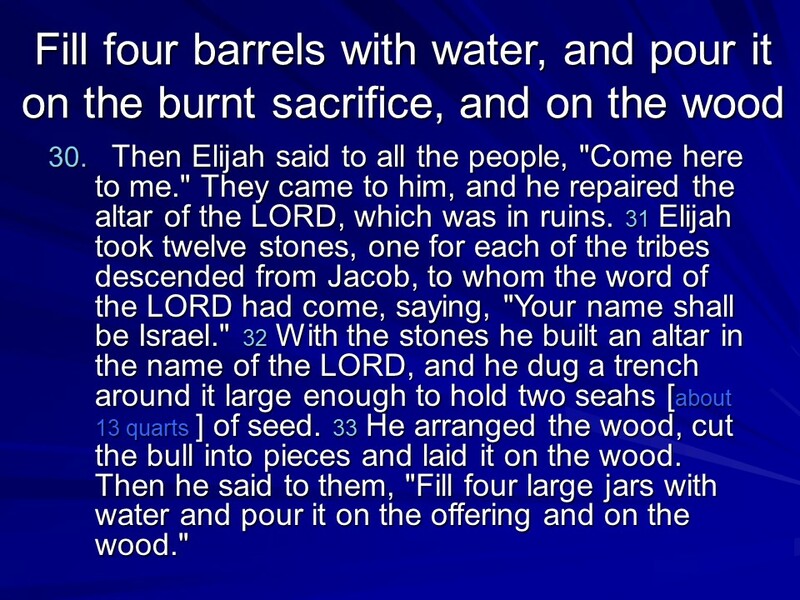 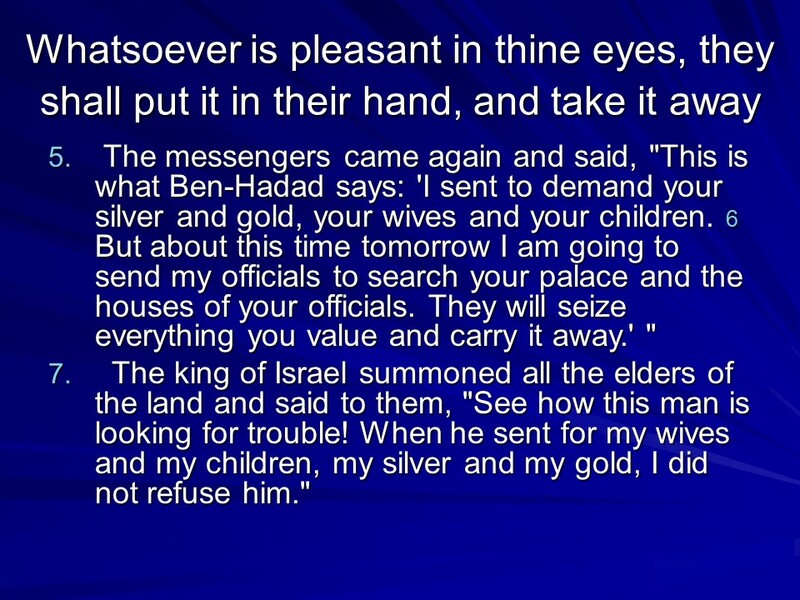 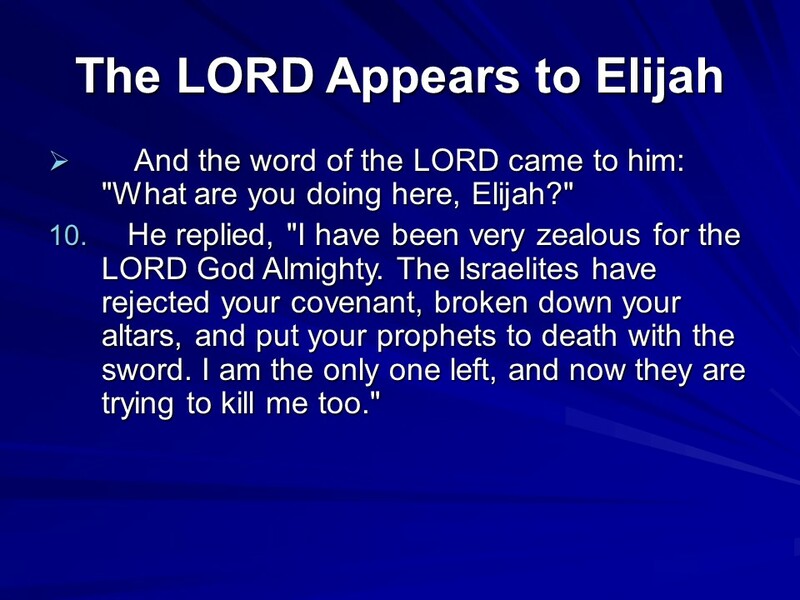 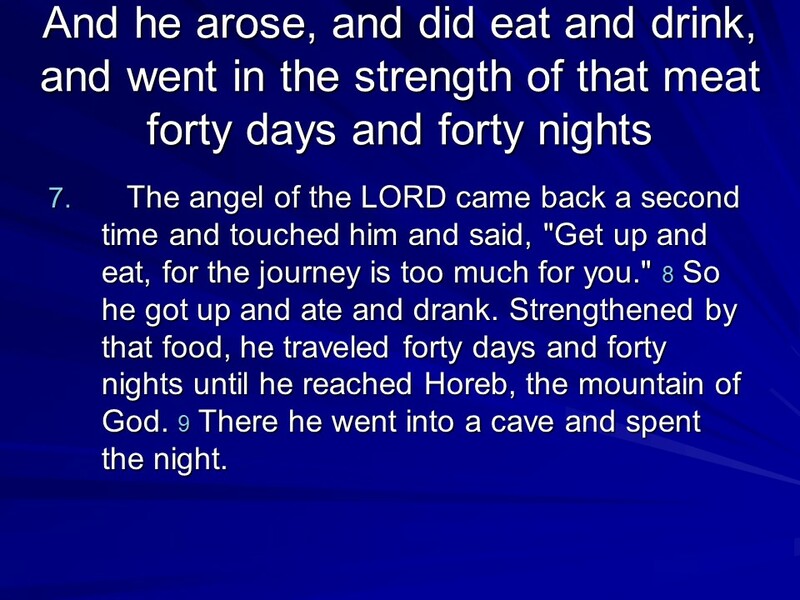 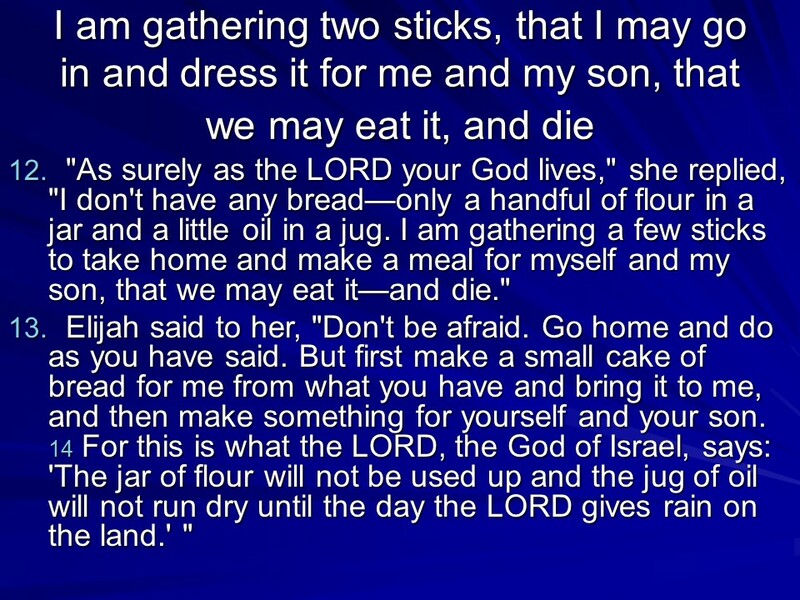 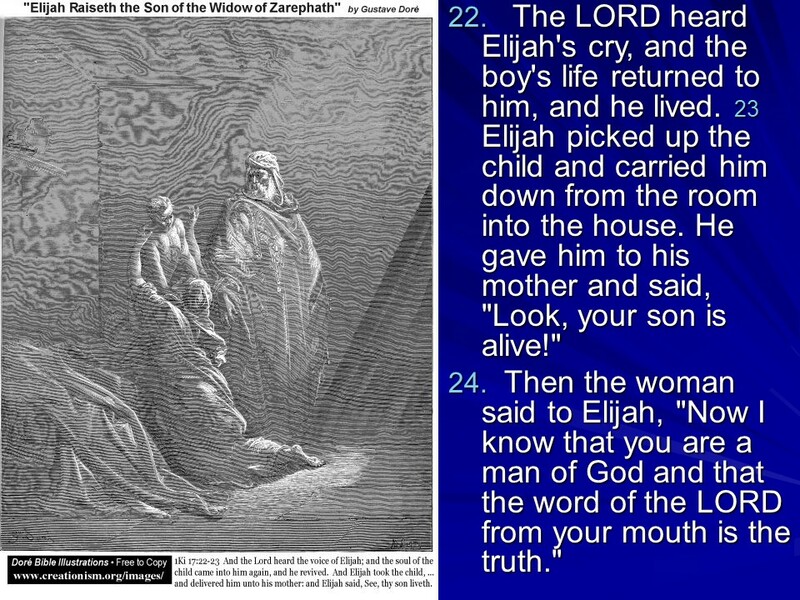 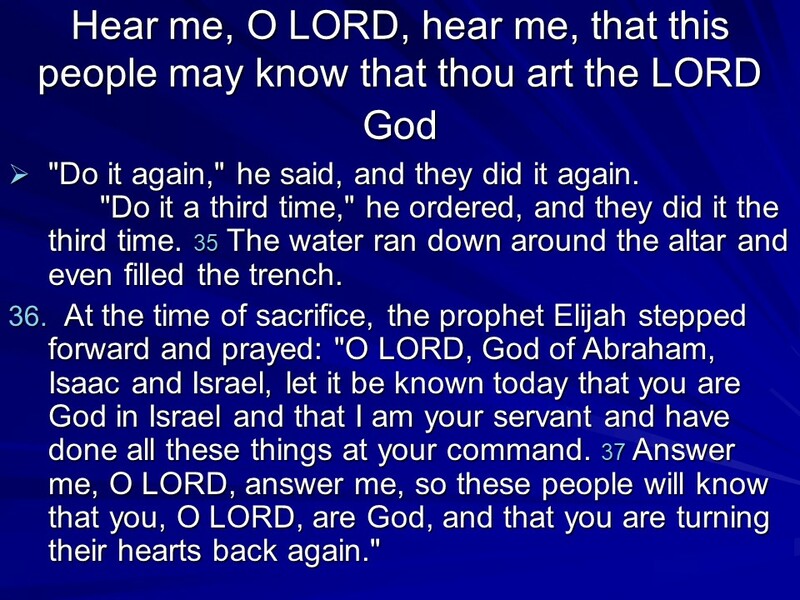 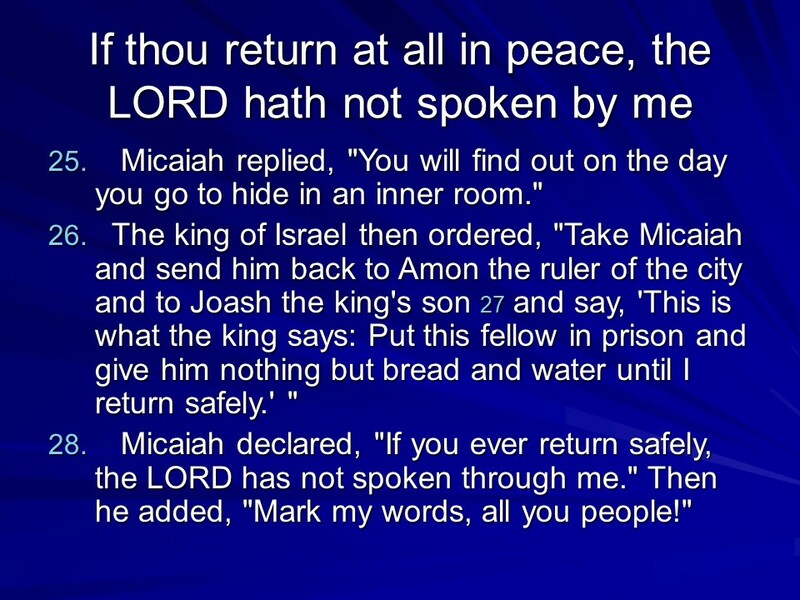 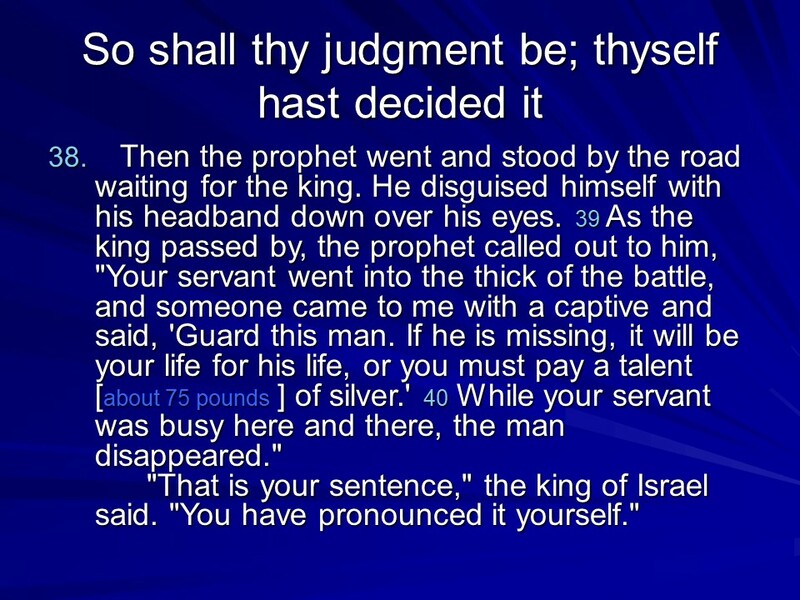 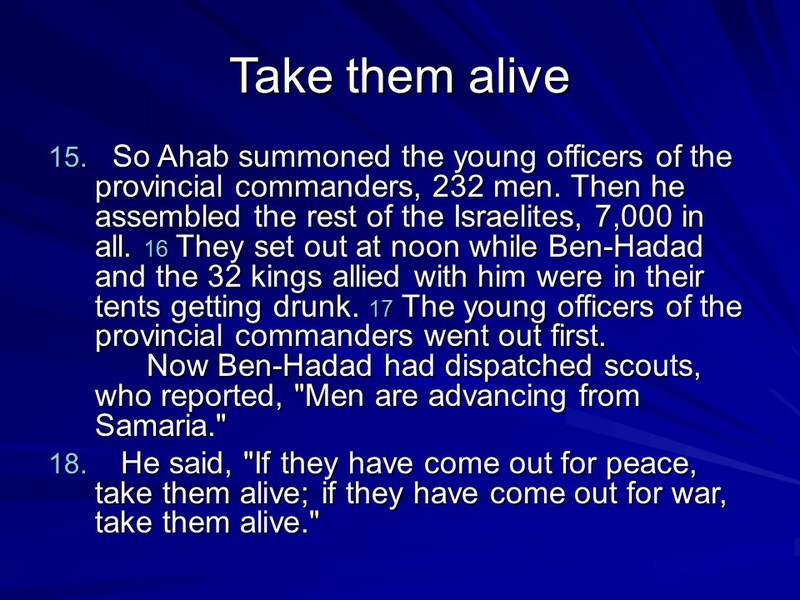 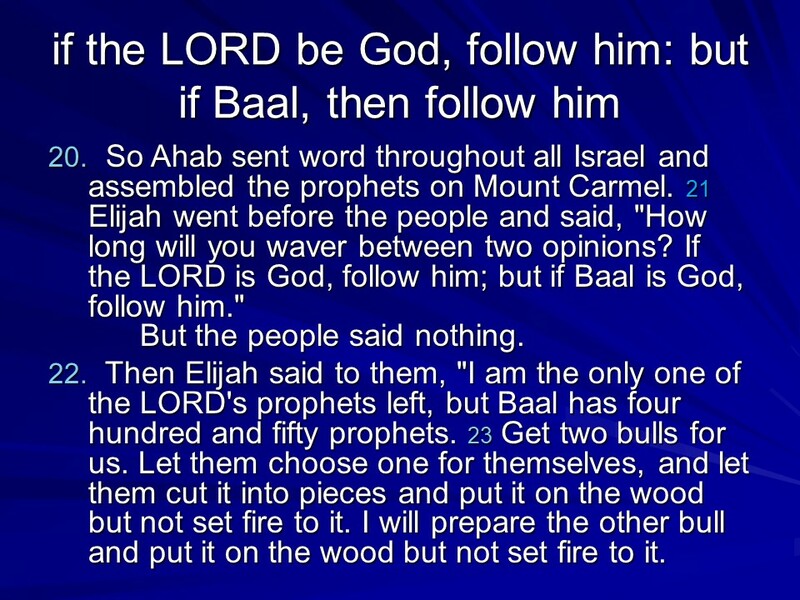 1 Kings 18, Elijah’s Message to Ahab, Elijah’s Mount Carmel Victory. 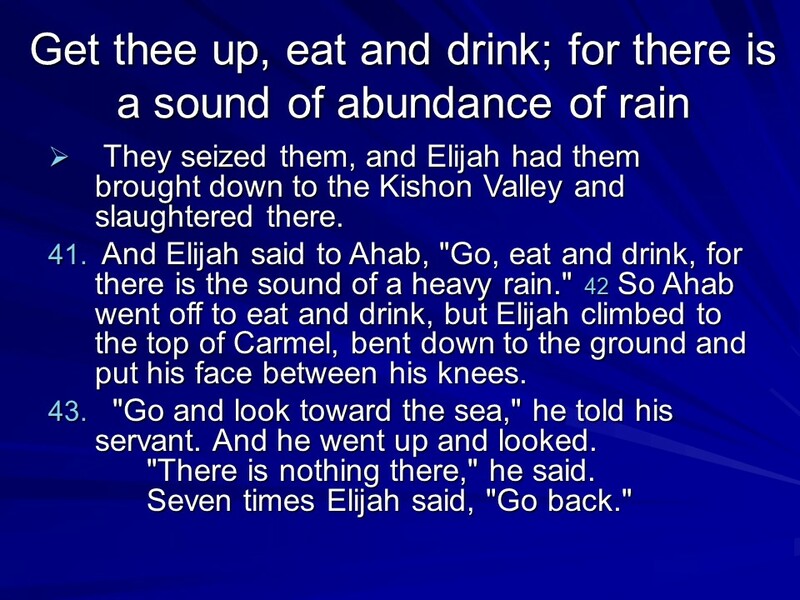 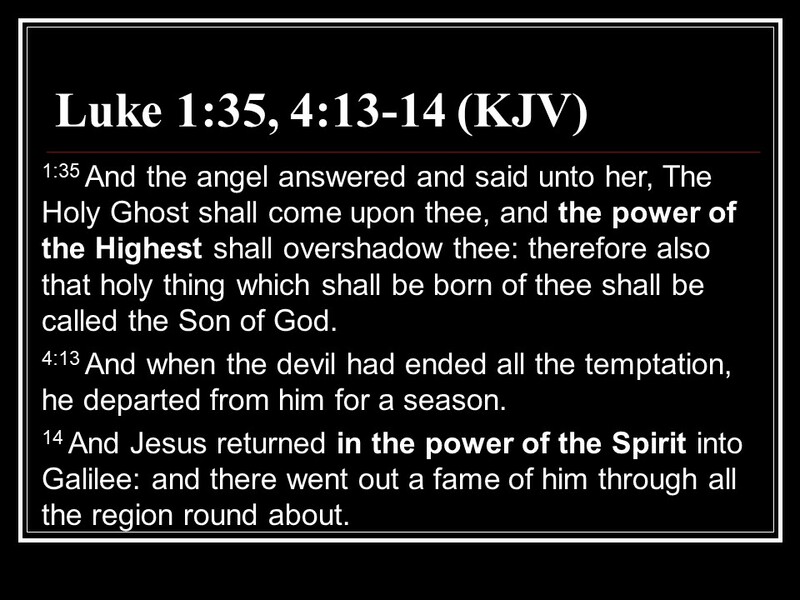 Posted on October 1, 2018 Categories 1 Kings, Bible, faithTags 1 Kings 18, Baal, Elijah's Message to Ahab, Elijah's Mount Carmel Victory, faith, Holy Bible, religionLeave a comment on 1 Kings 18, Elijah’s Message to Ahab, Elijah’s Mount Carmel Victory. 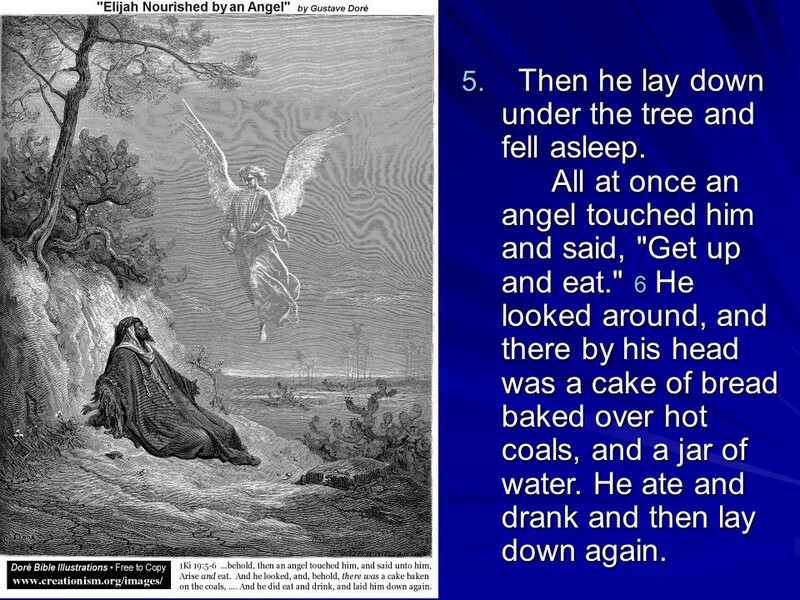 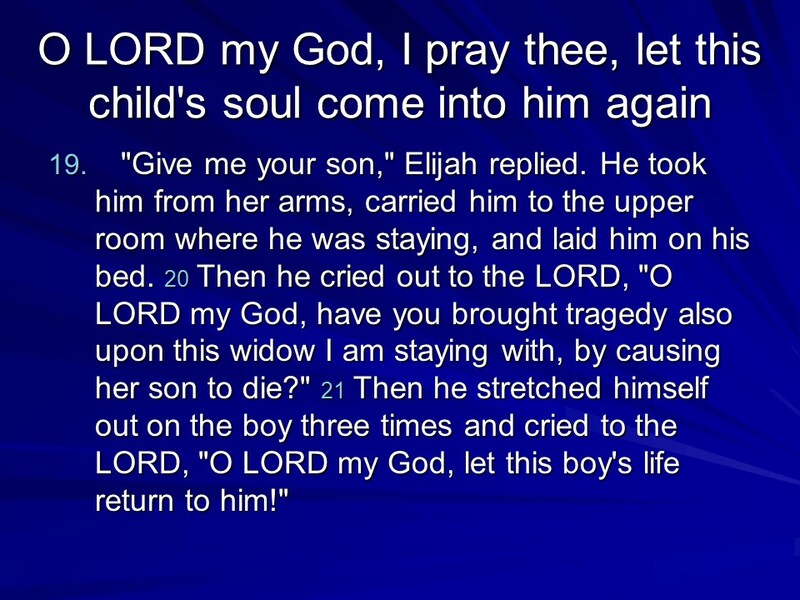 1 Kings 17, Elijah Proclaims a Drought, Elijah and the Widow, Elijah Revives the Widow’s Son. 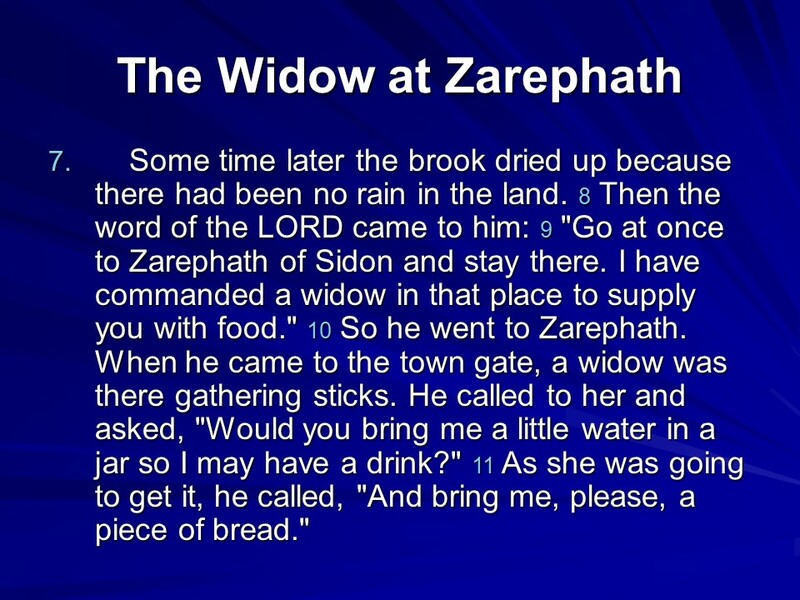 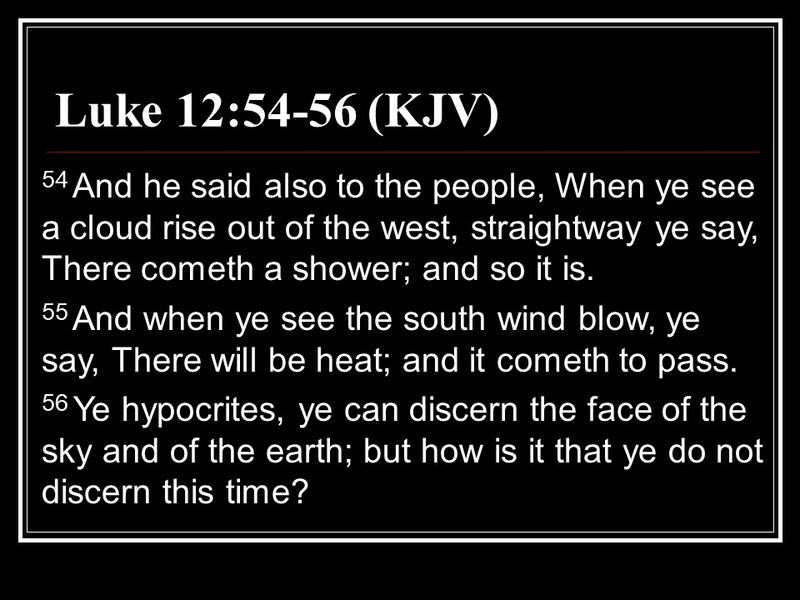 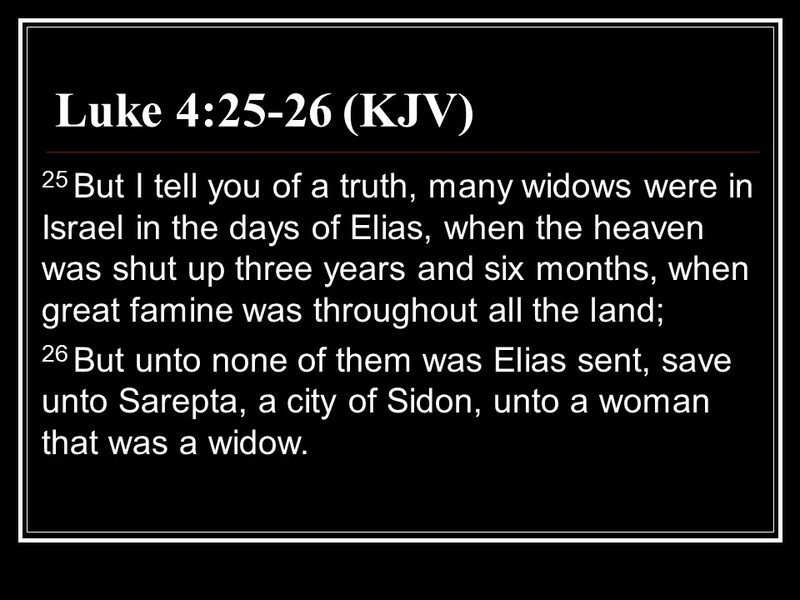 Posted on September 30, 2018 Categories 1 Kings, Bible, faithTags 1 Kings 17, Elijah and the Widow, Elijah Proclaims a Drought, Elijah Revives the Widow's Son, faith, Holy Bible, religionLeave a comment on 1 Kings 17, Elijah Proclaims a Drought, Elijah and the Widow, Elijah Revives the Widow’s Son.